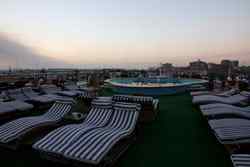 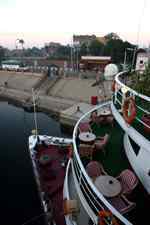 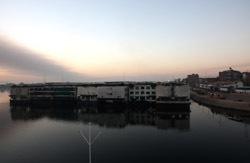 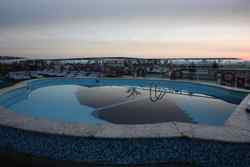 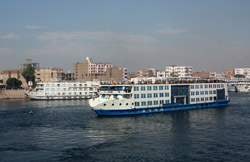 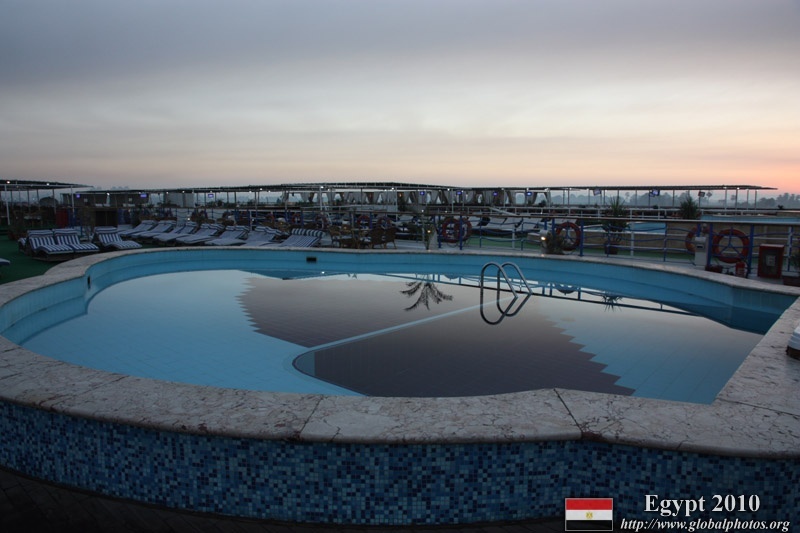 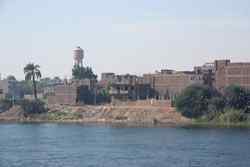 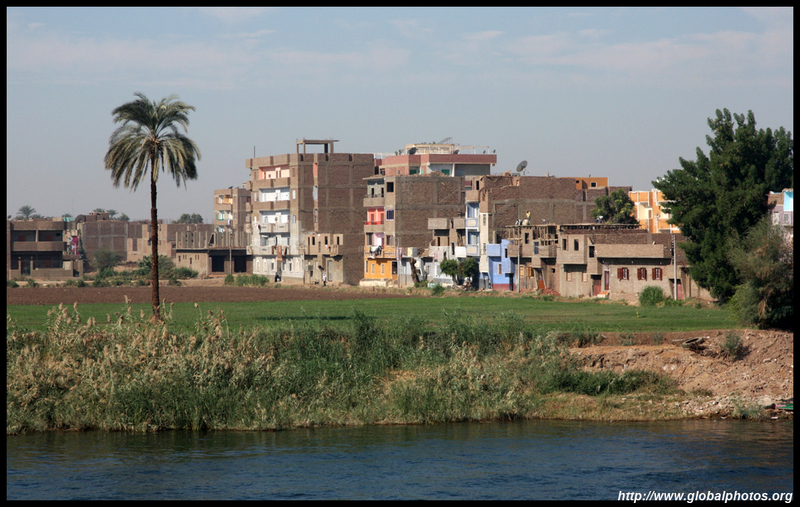 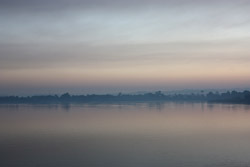 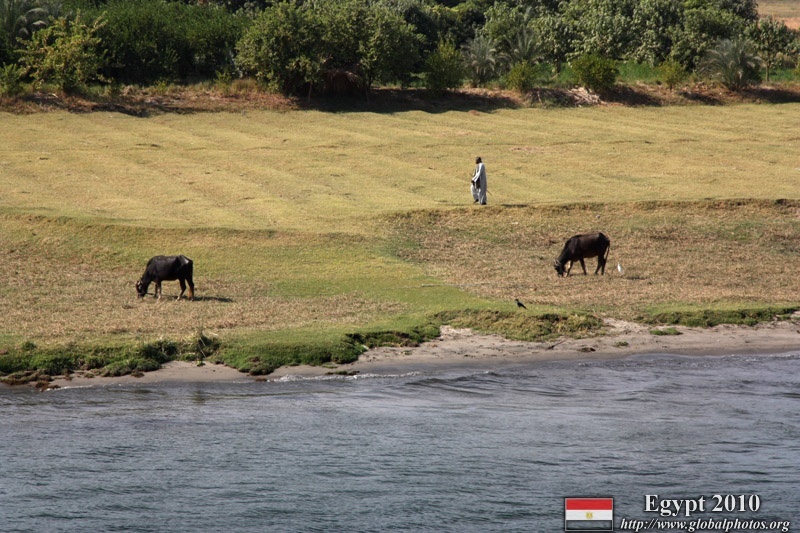 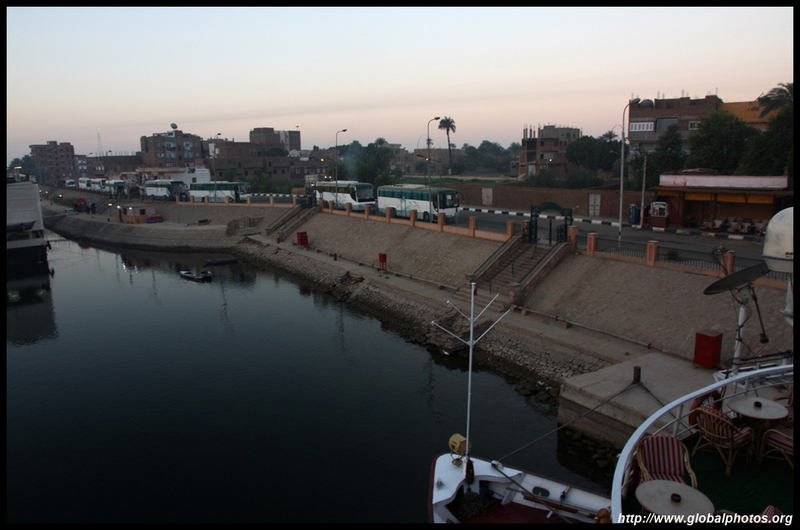 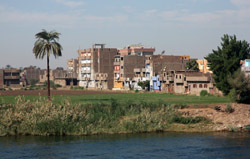 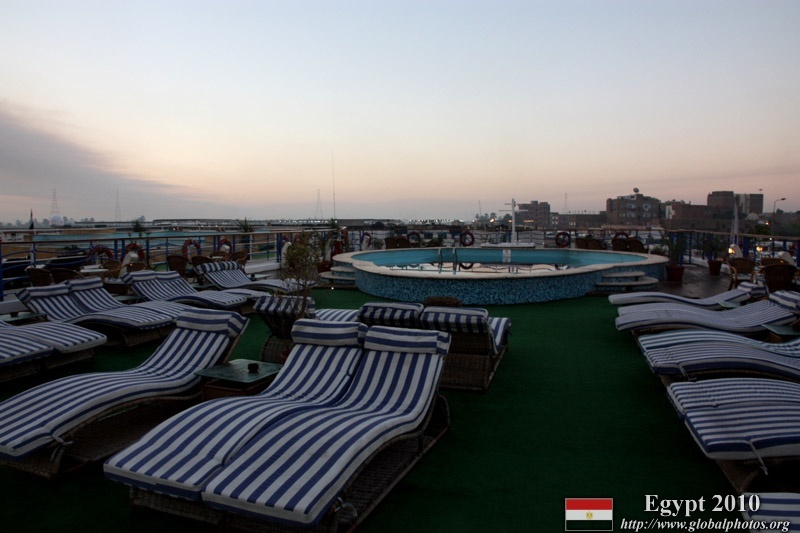 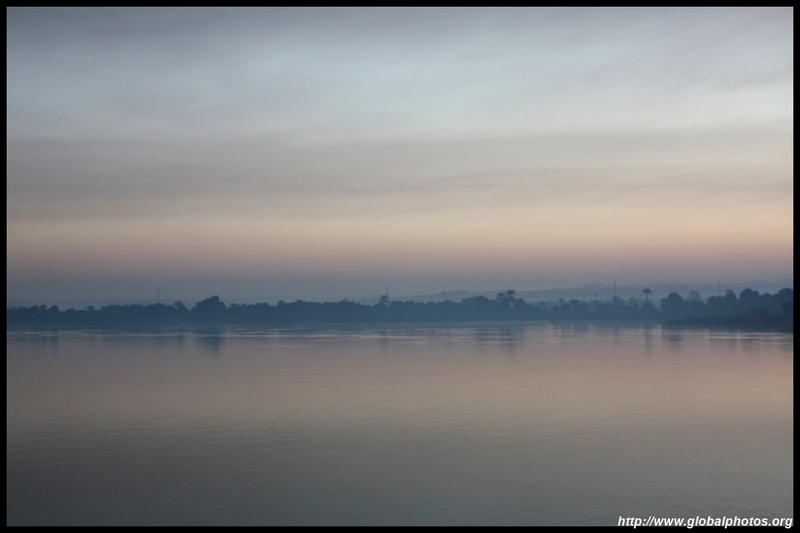 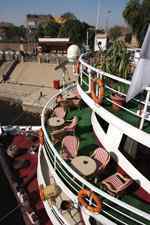 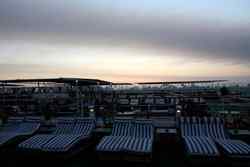 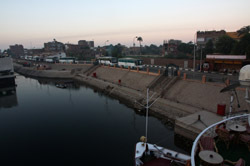 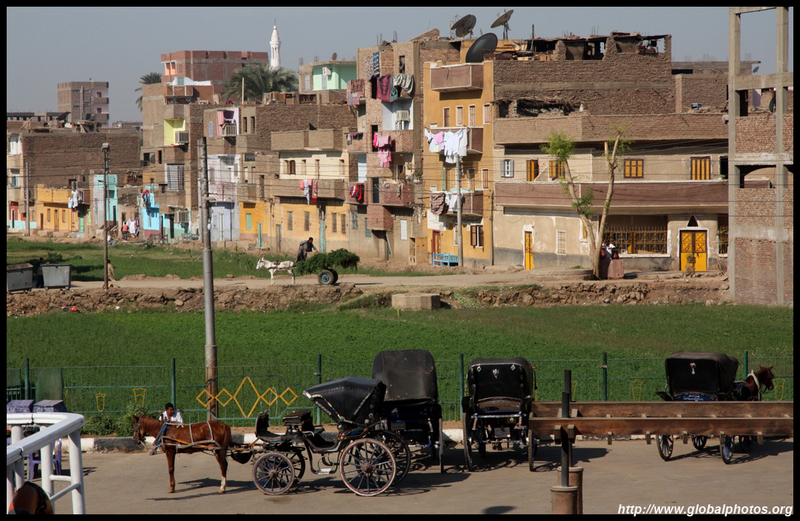 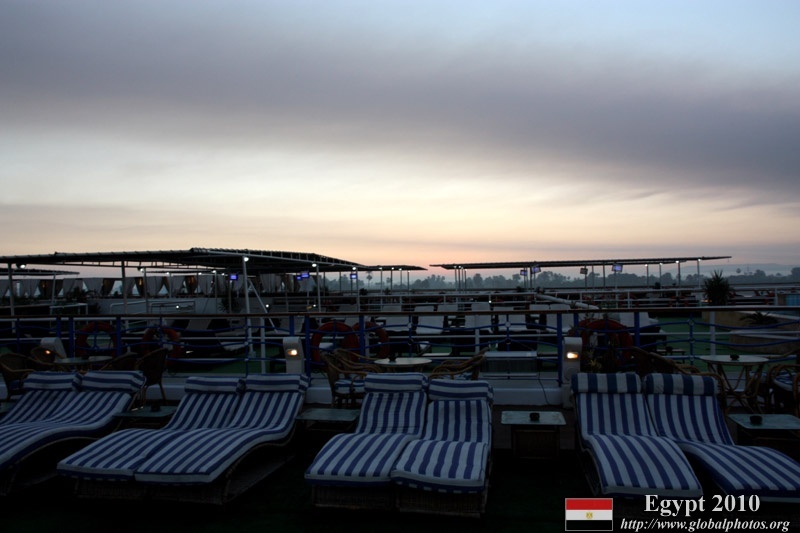 @ Edfu - It appeared to be cloudy as the sun rose over the Nile, which was a bit hard to believe given they barely get any rain at all. The sky was blue and bright that day. 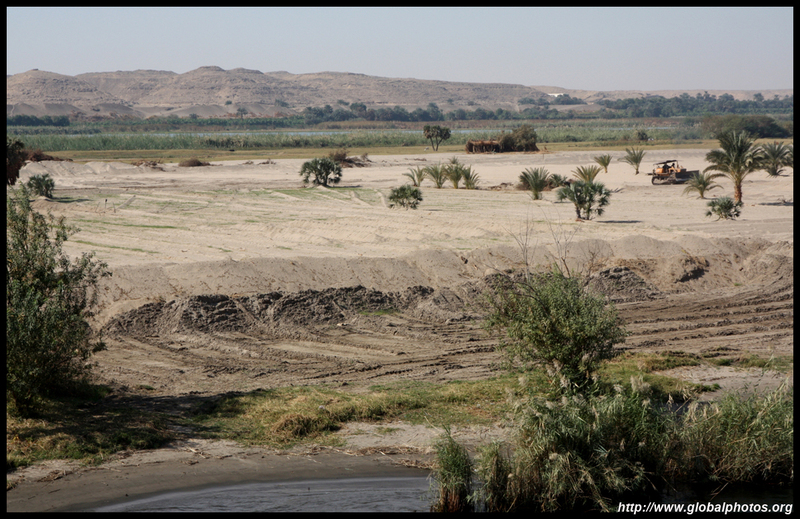 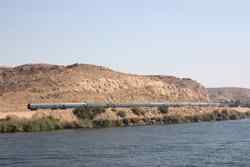 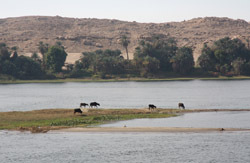 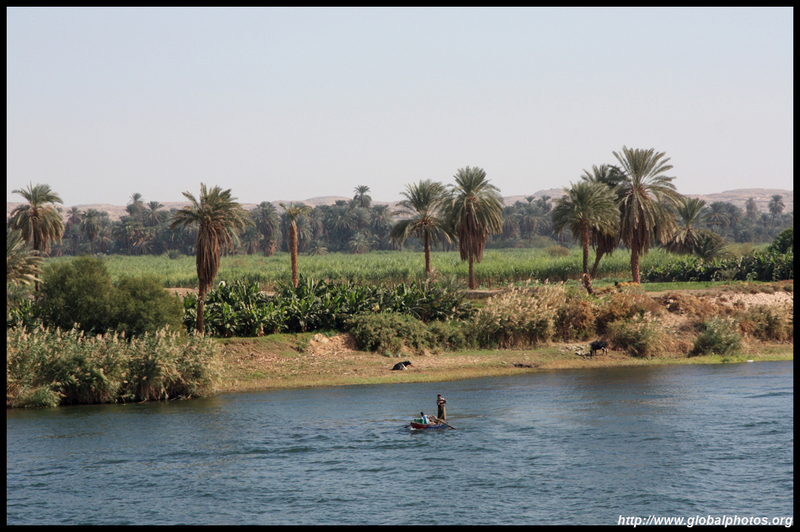 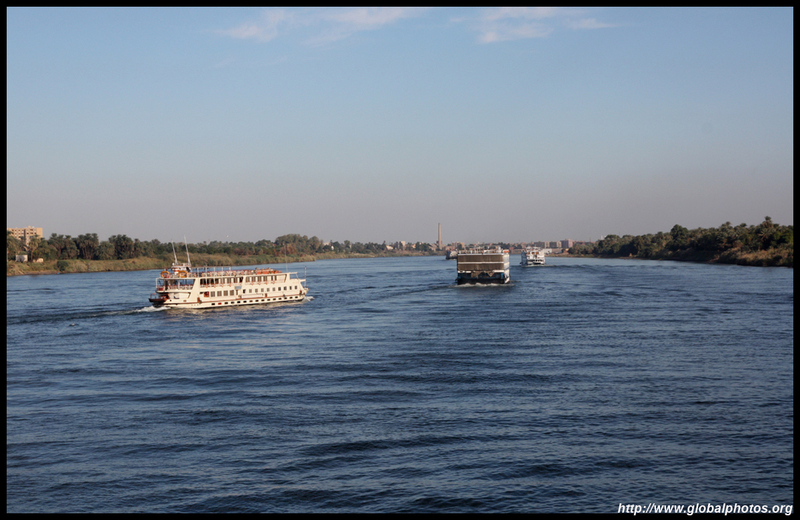 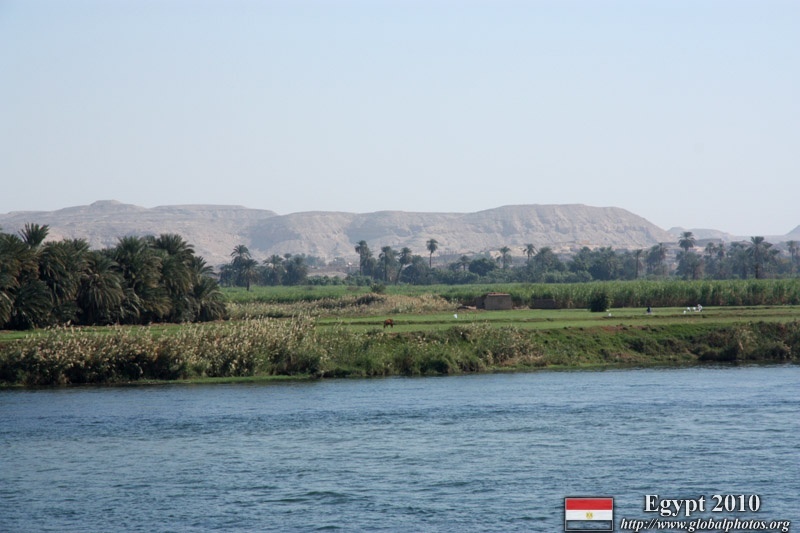 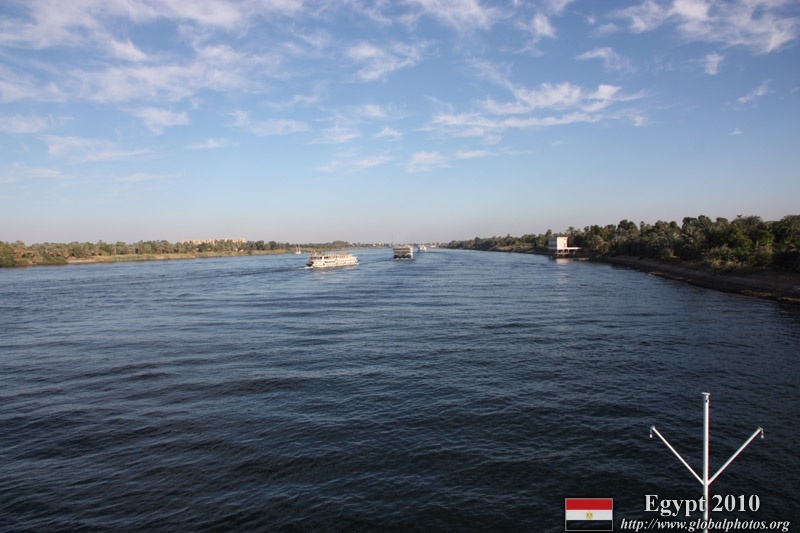 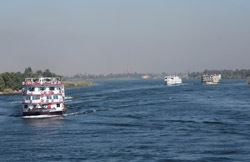 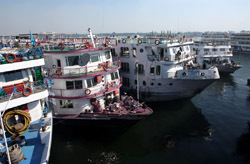 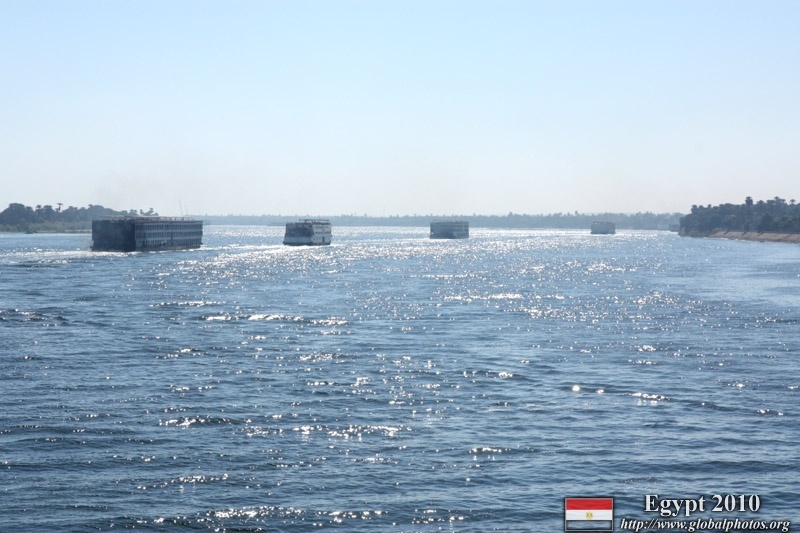 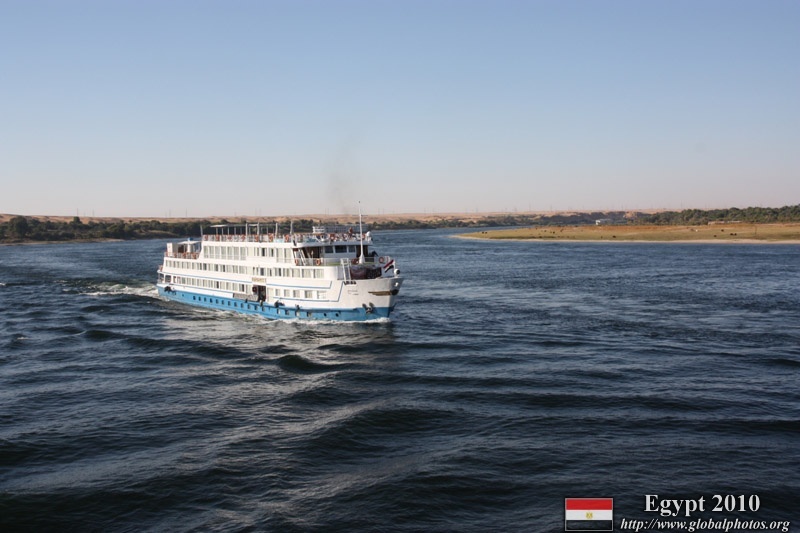 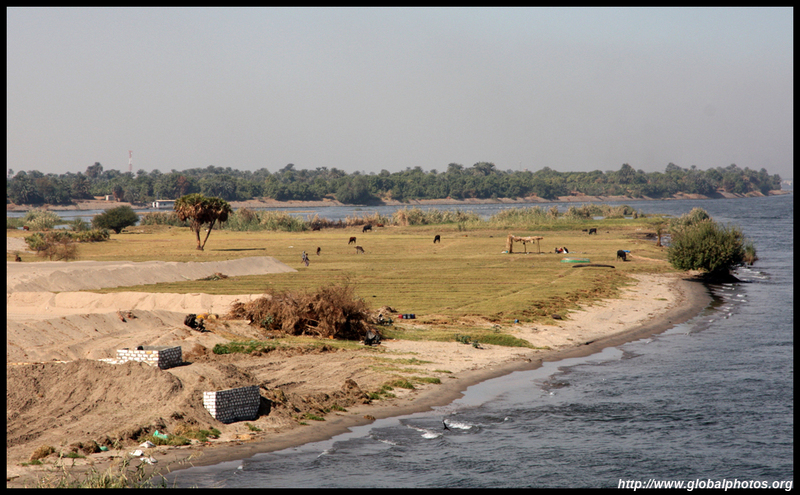 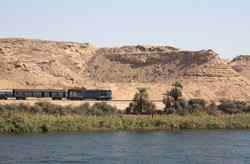 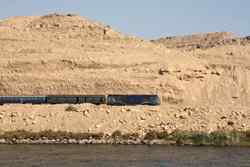 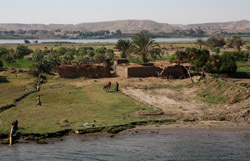 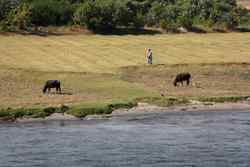 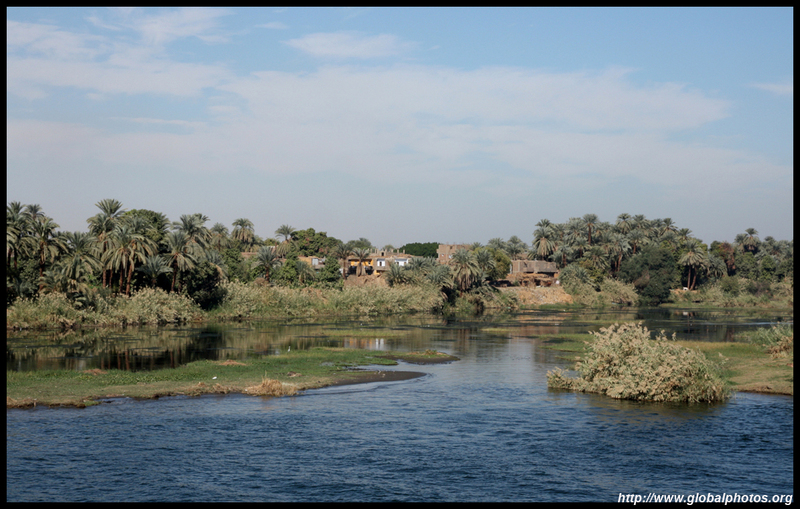 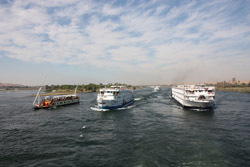 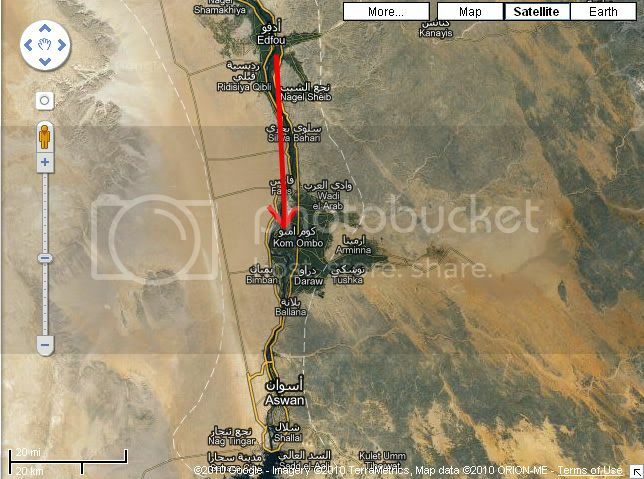 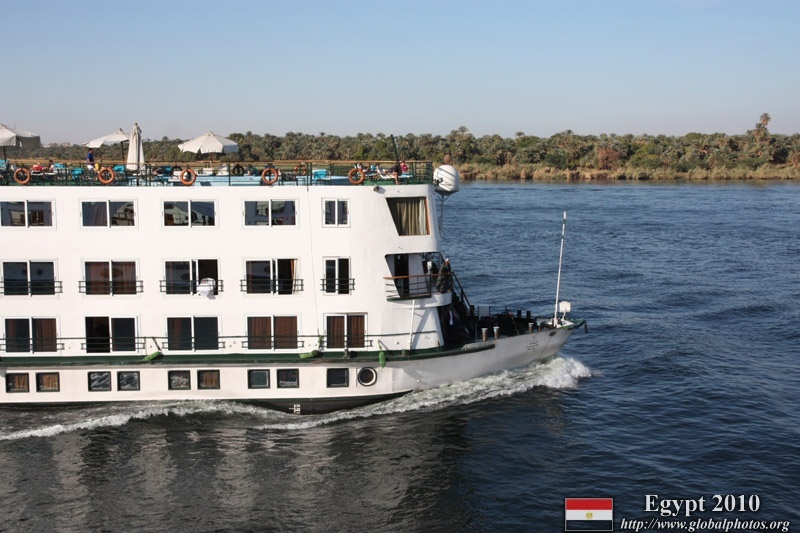 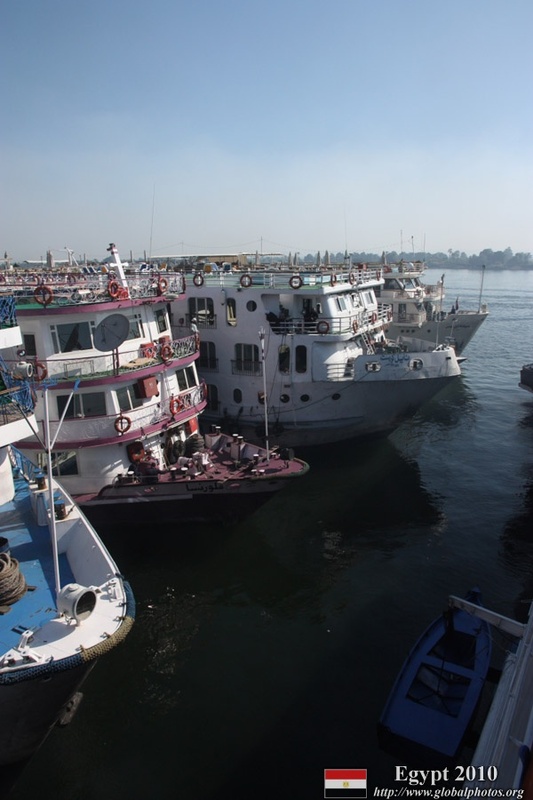 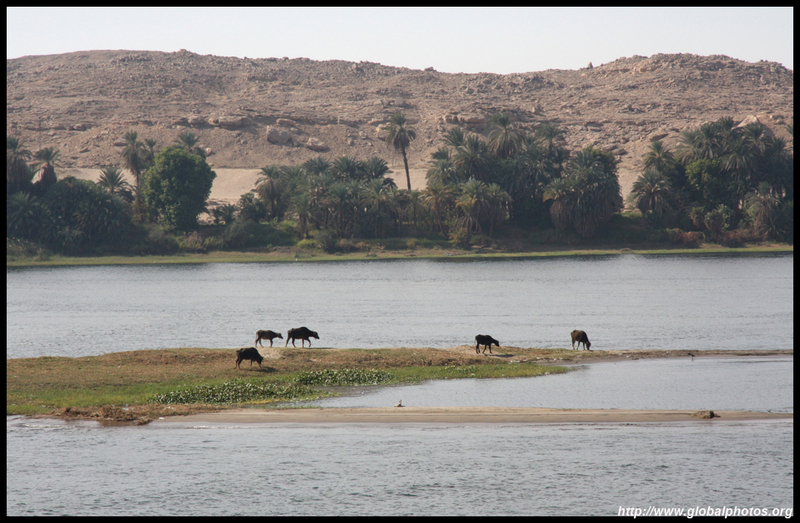 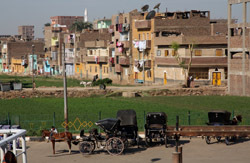 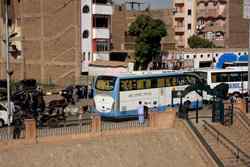 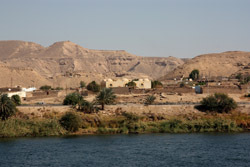 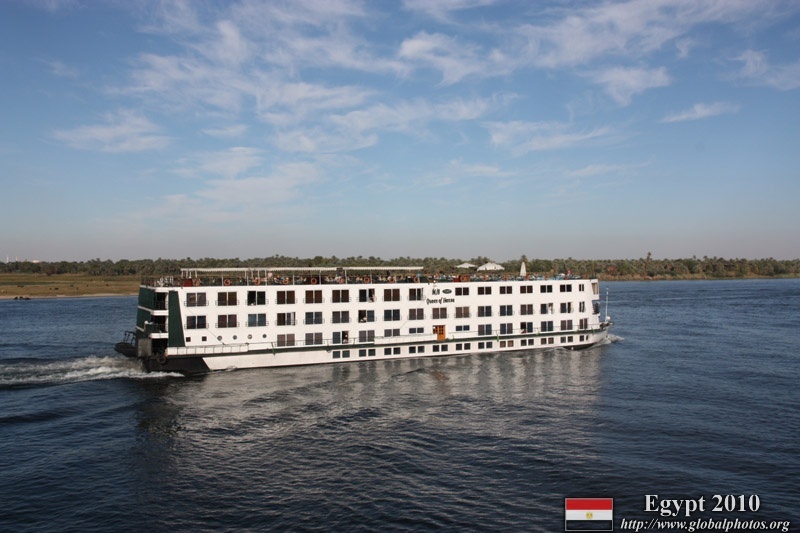 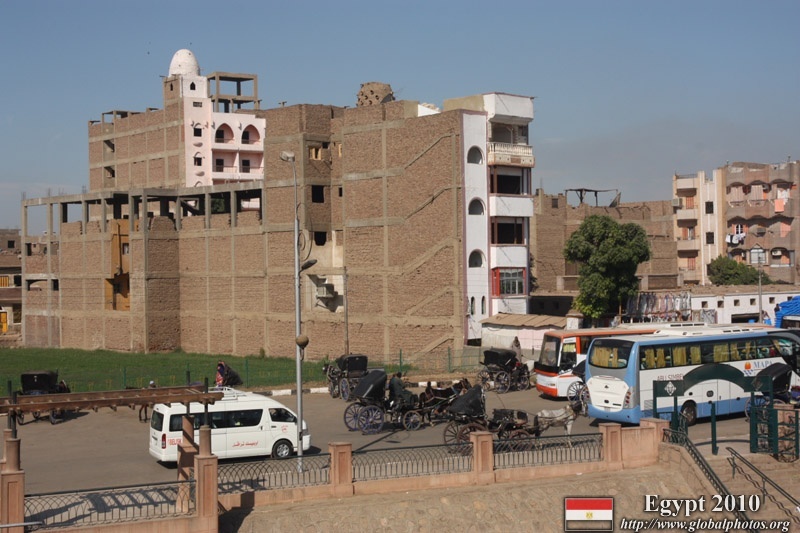 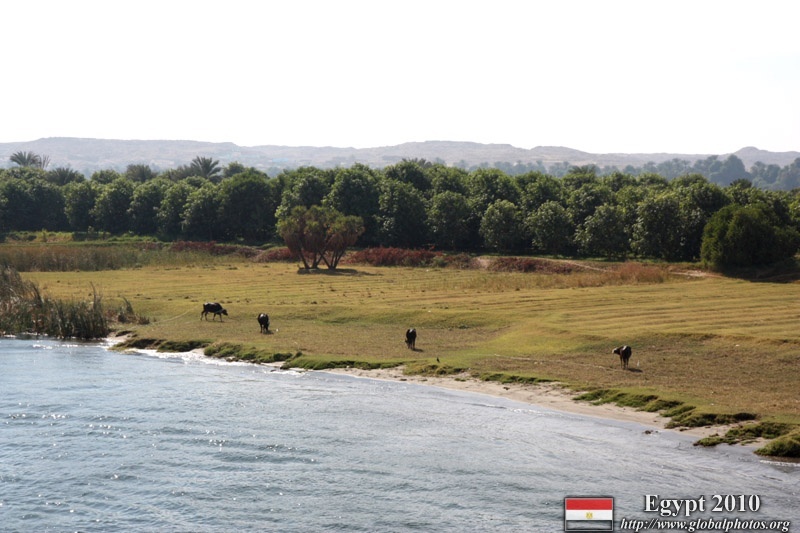 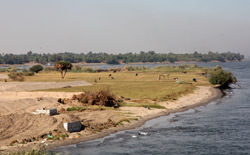 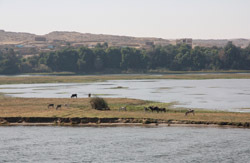 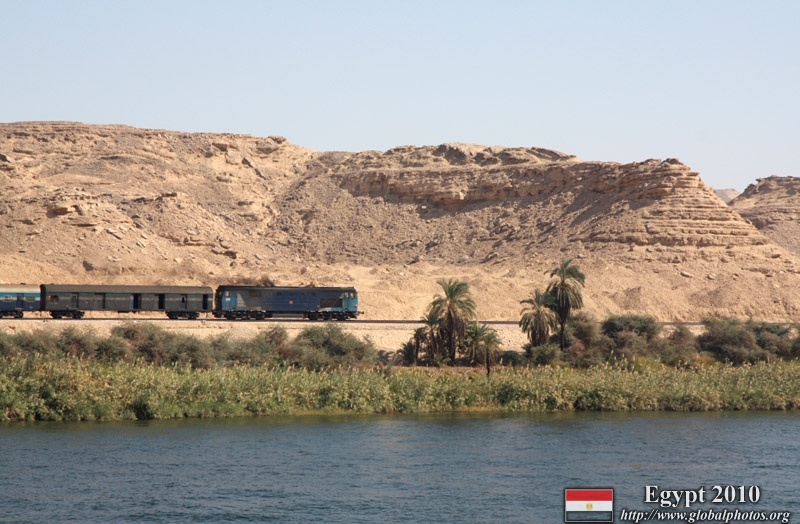 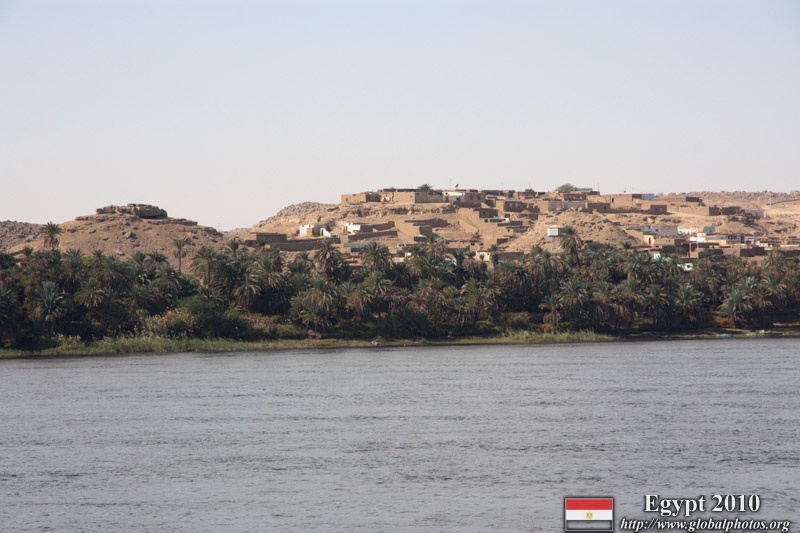 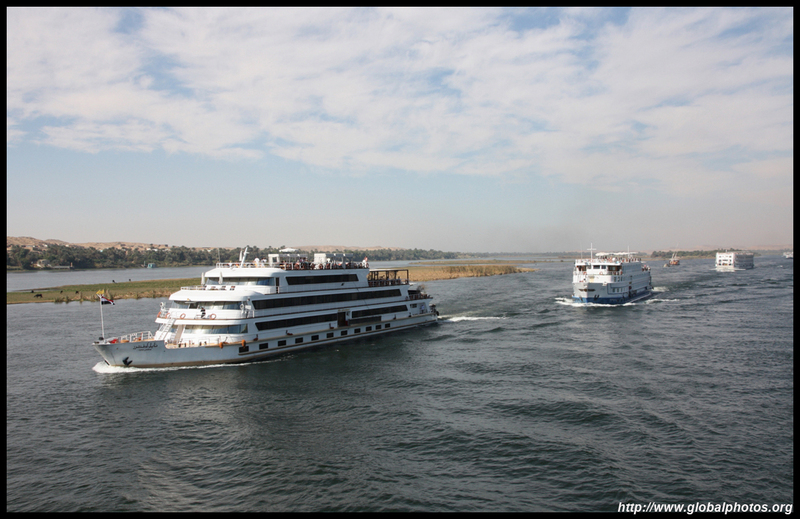 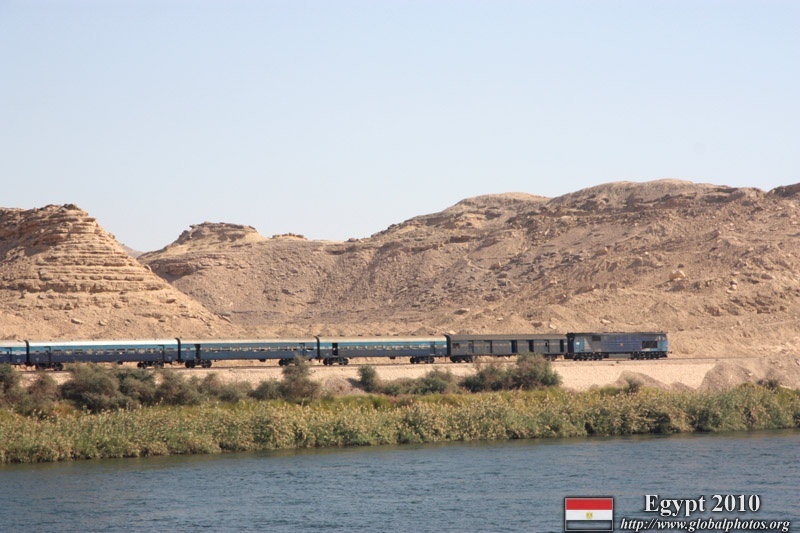 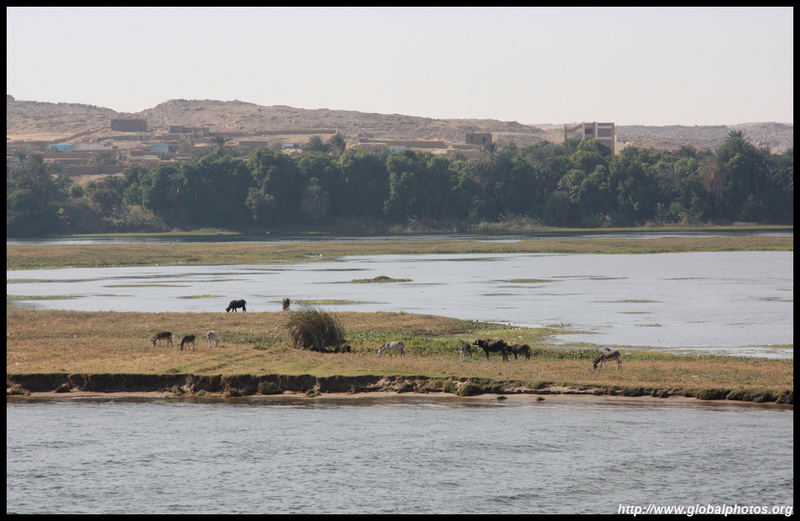 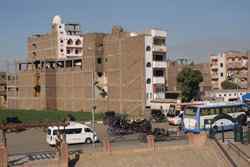 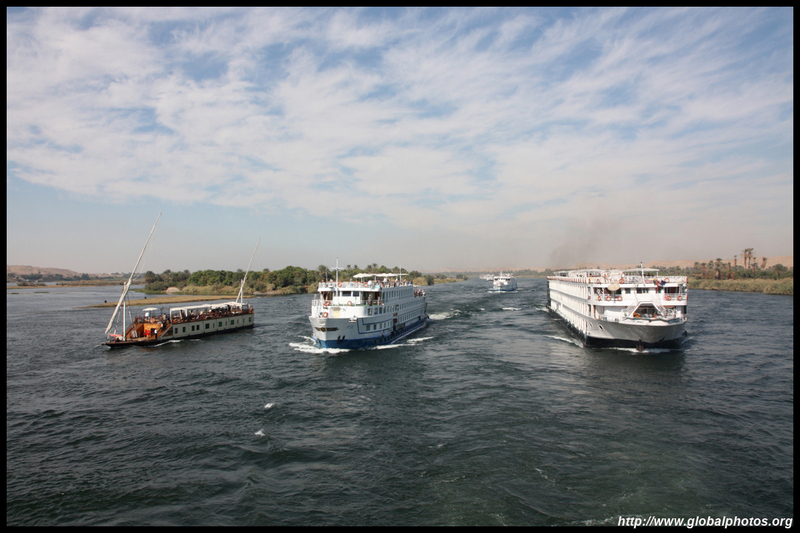 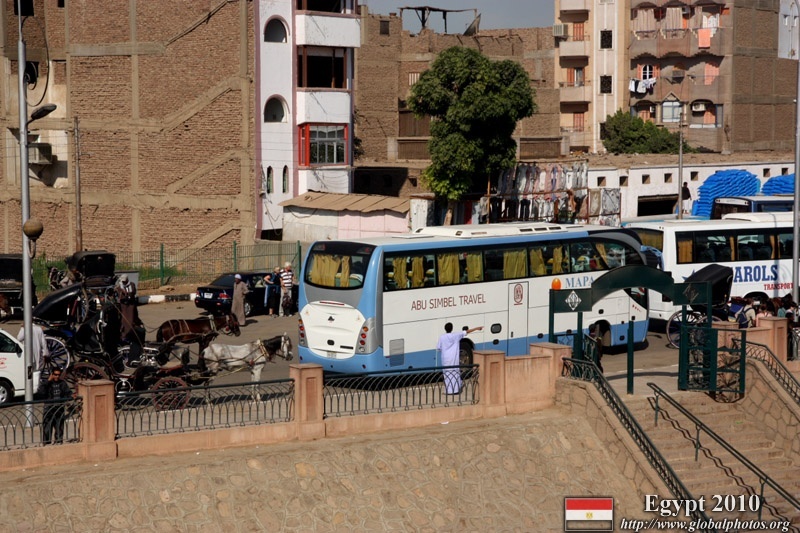 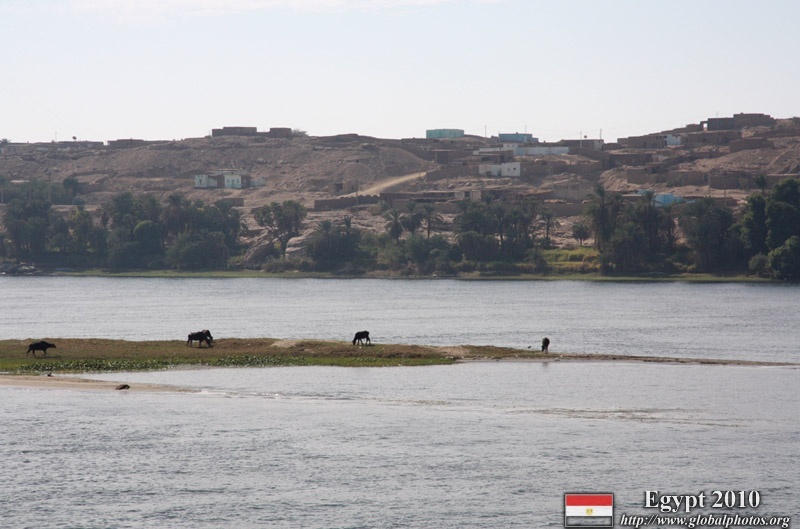 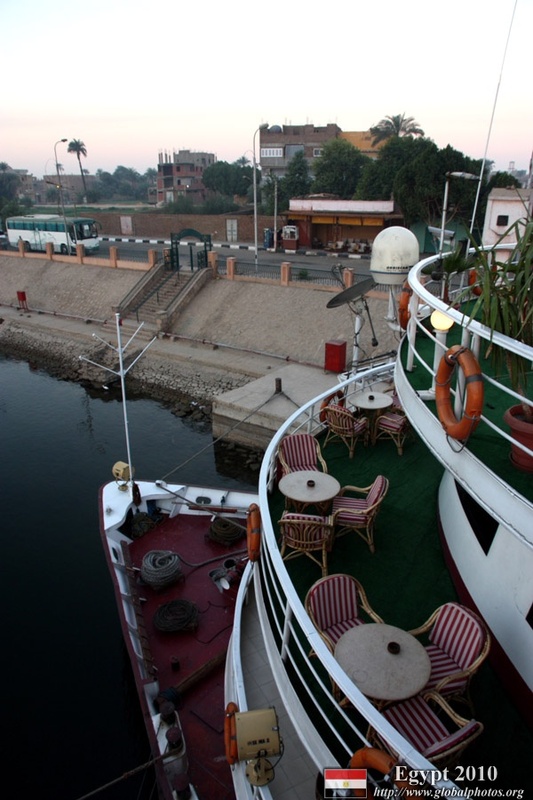 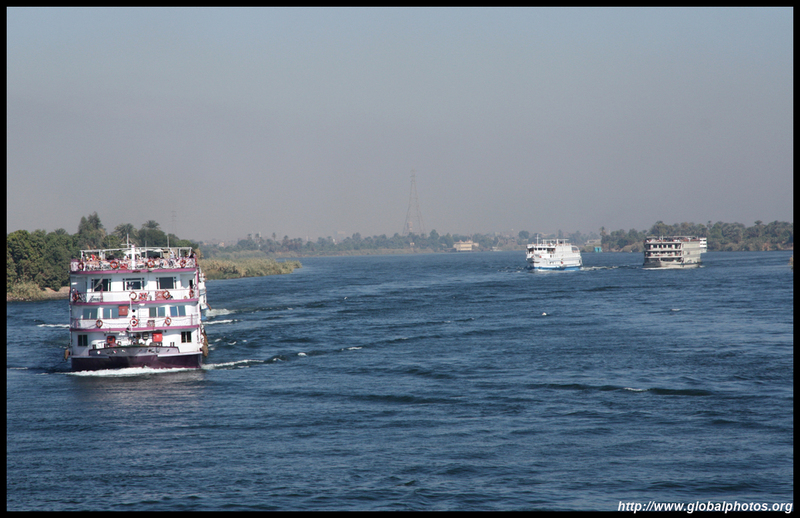 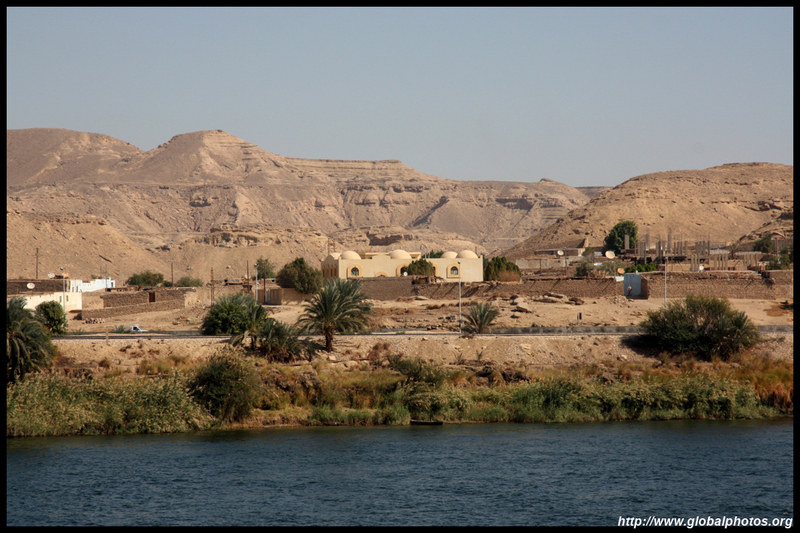 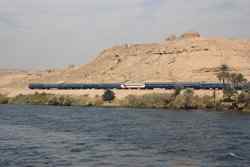 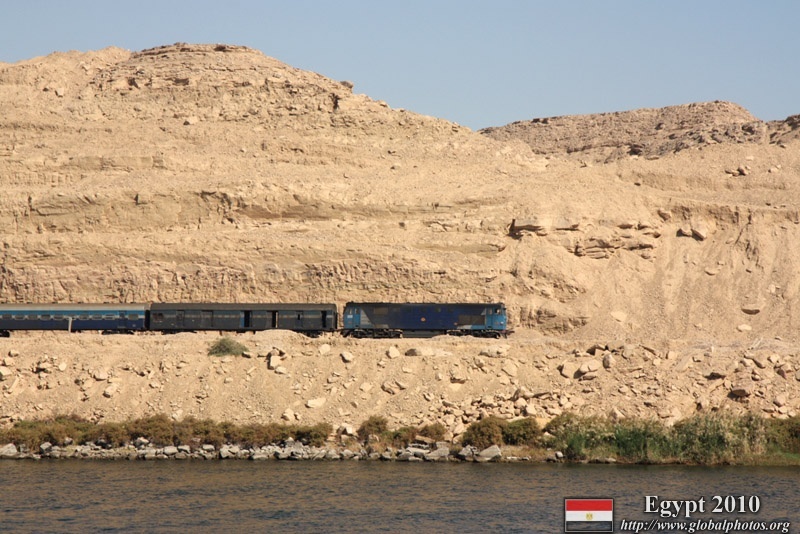 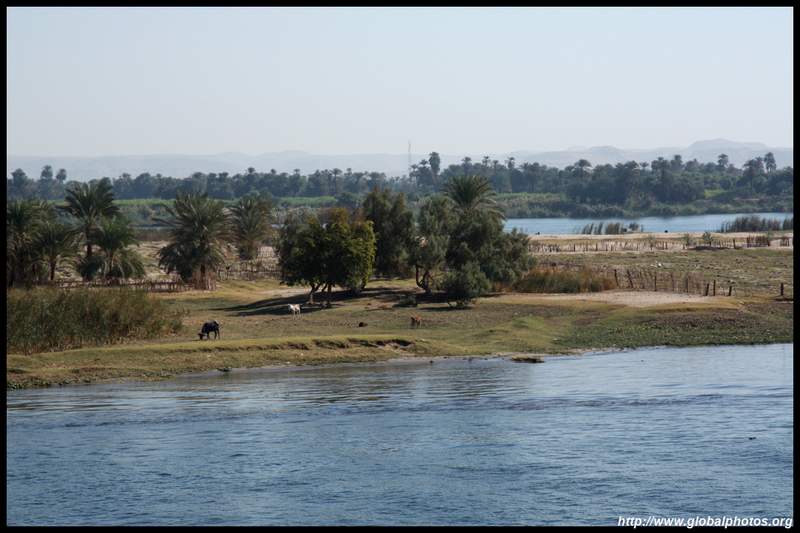 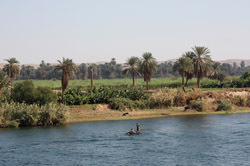 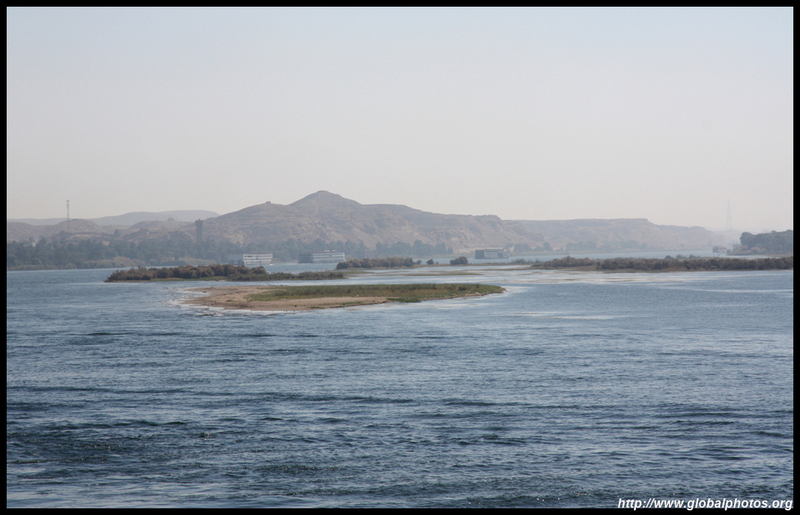 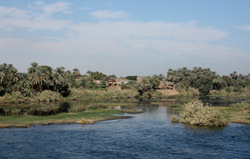 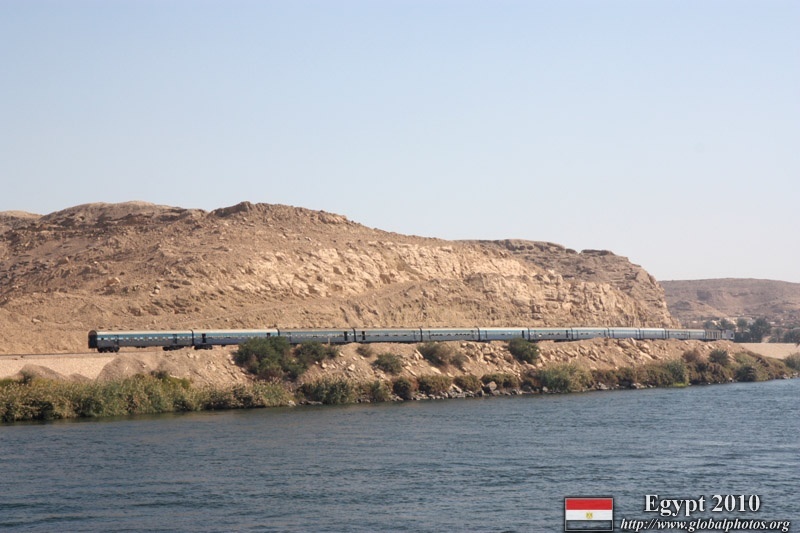 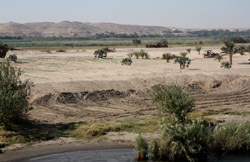 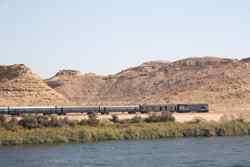 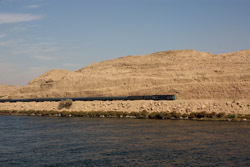 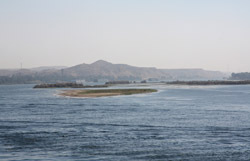 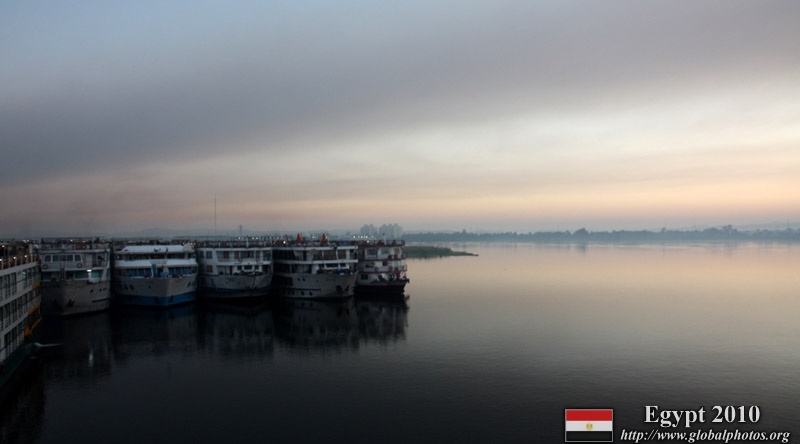 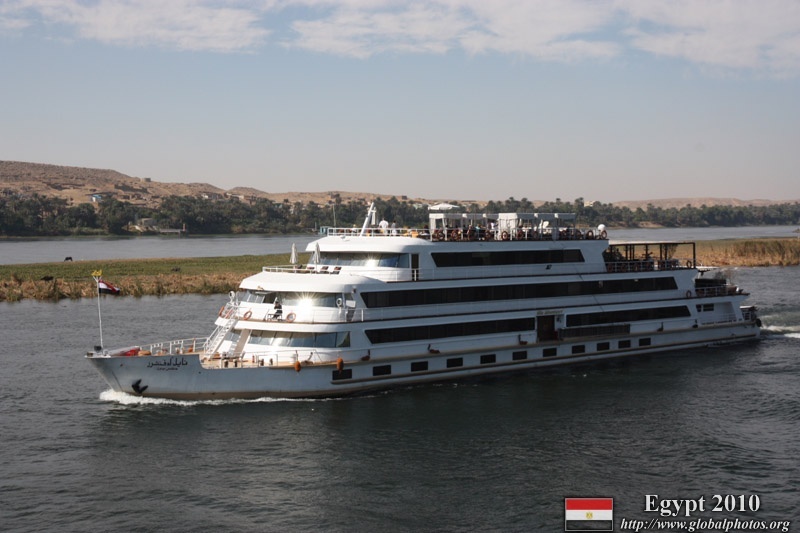 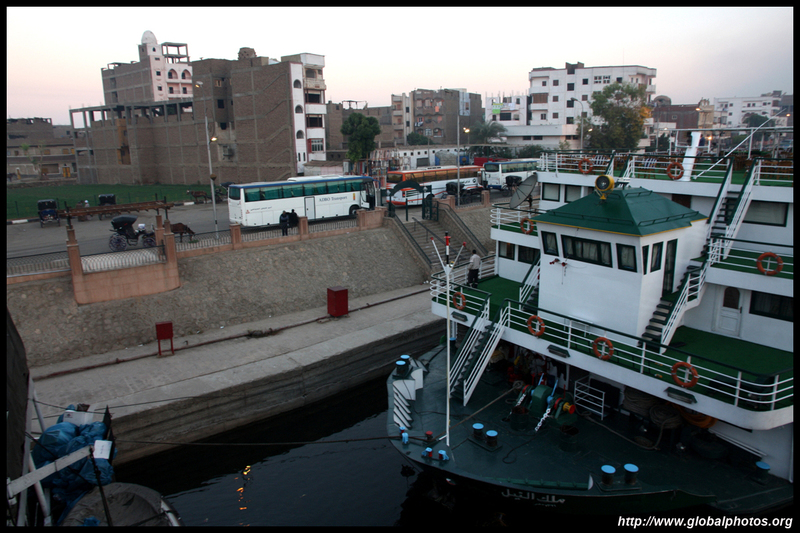 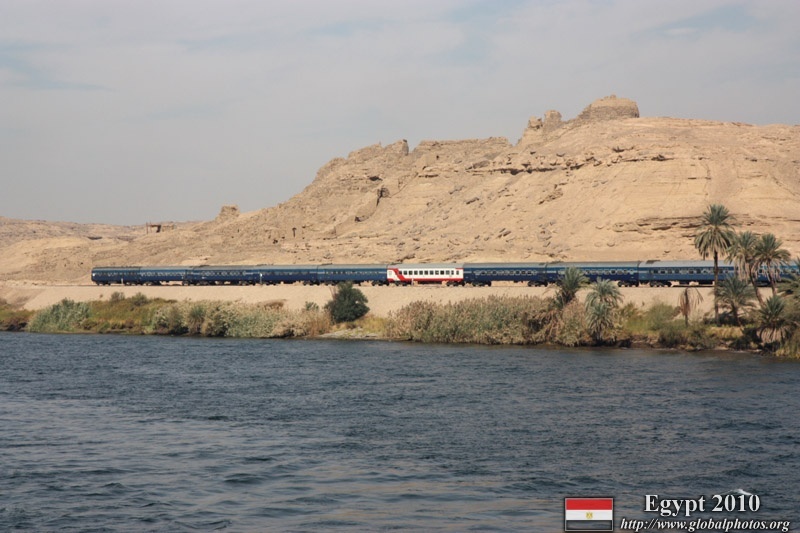 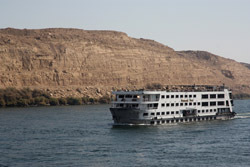 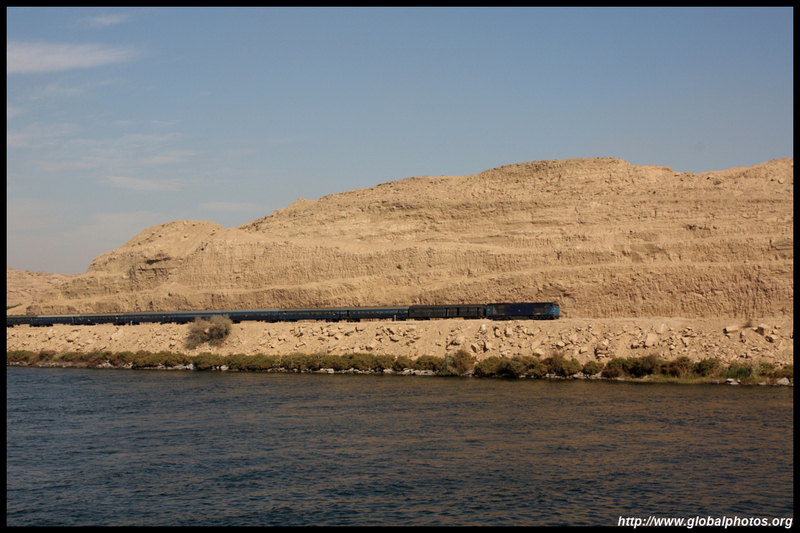 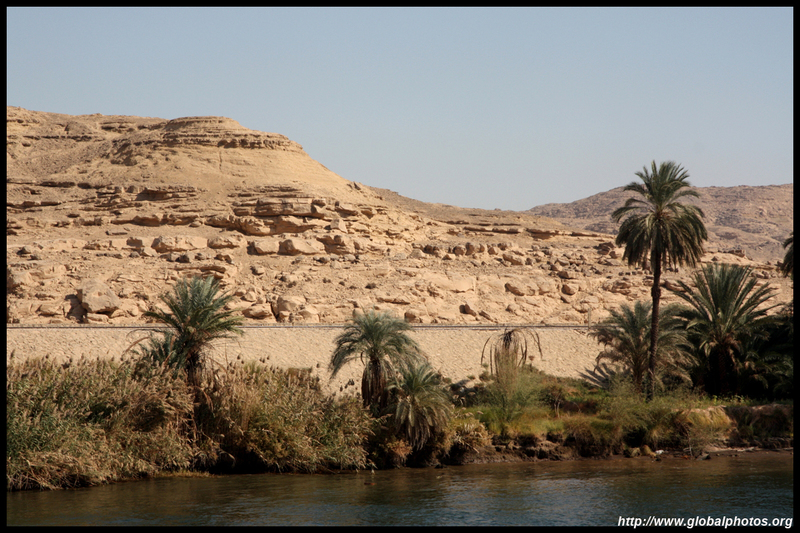 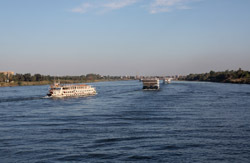 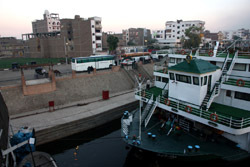 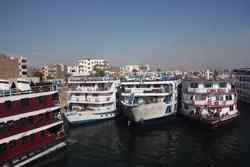 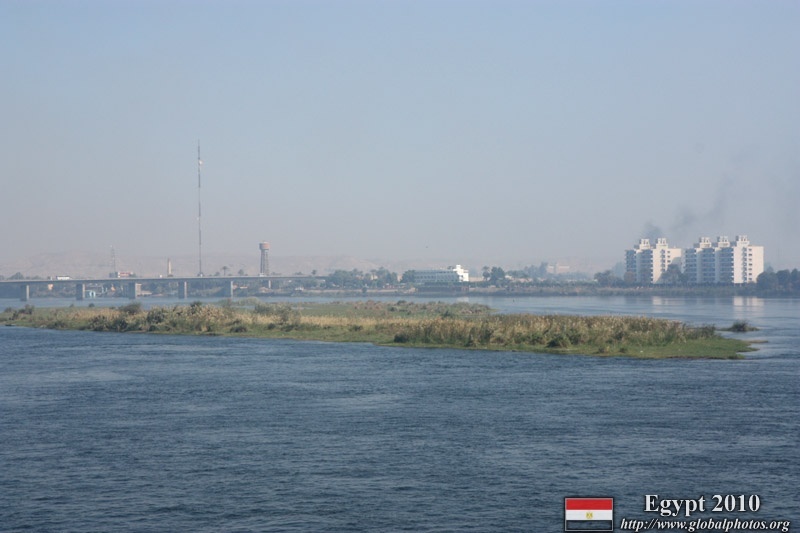 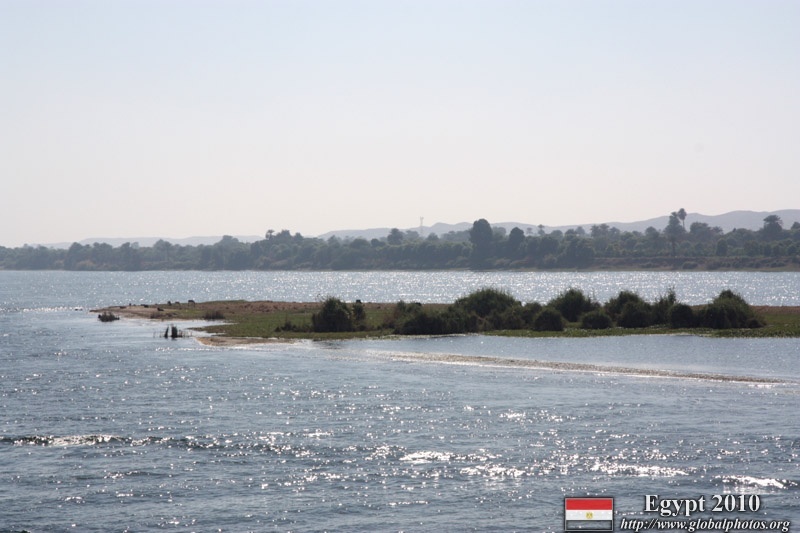 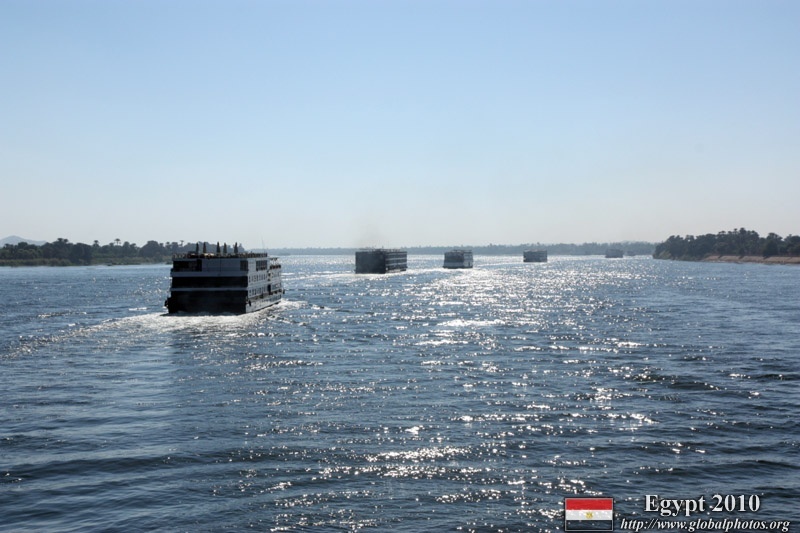 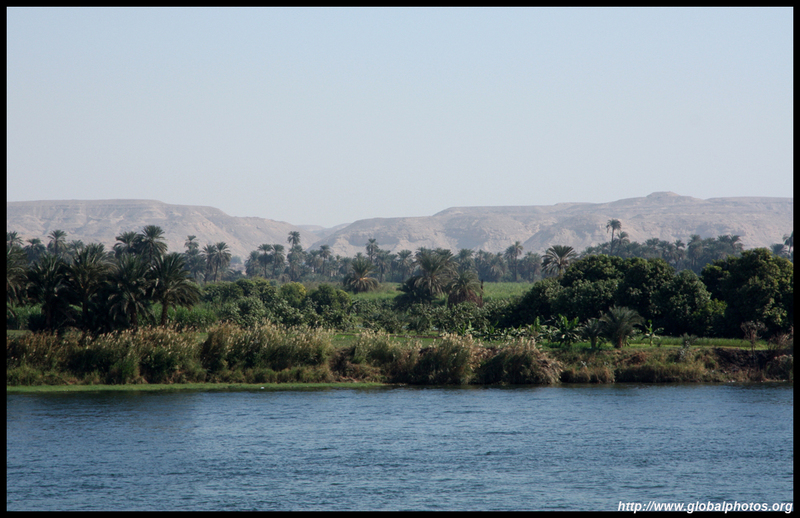 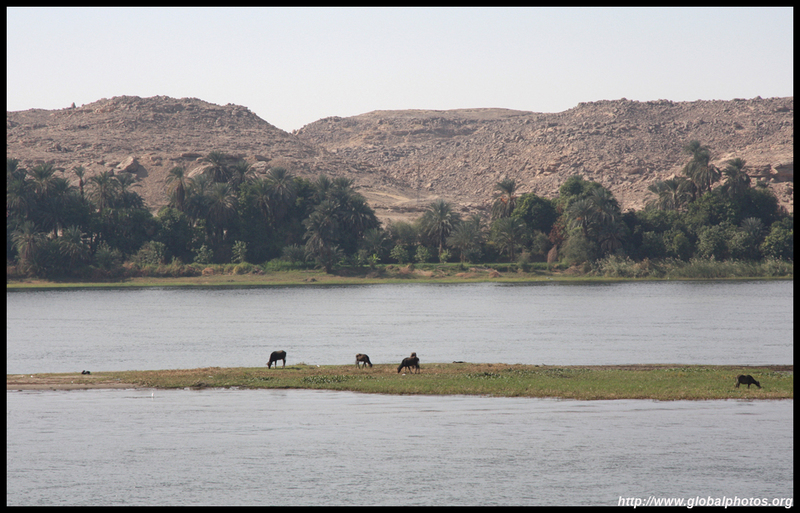 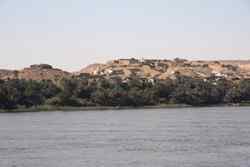 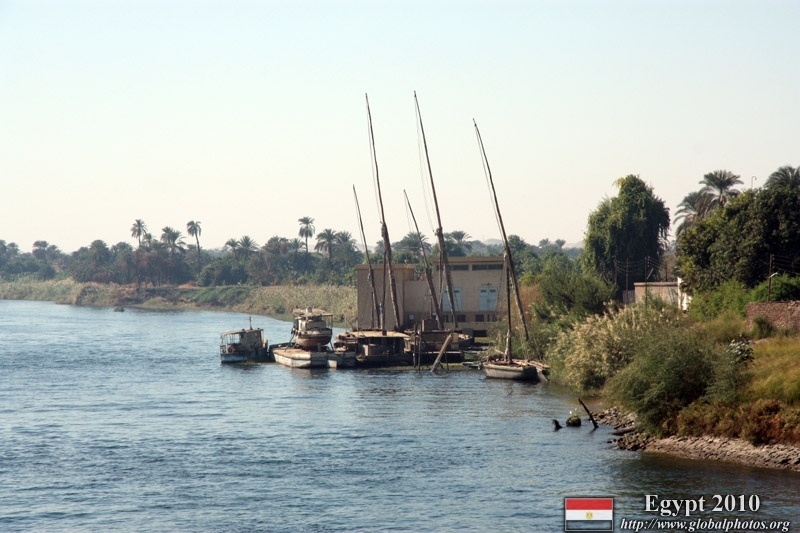 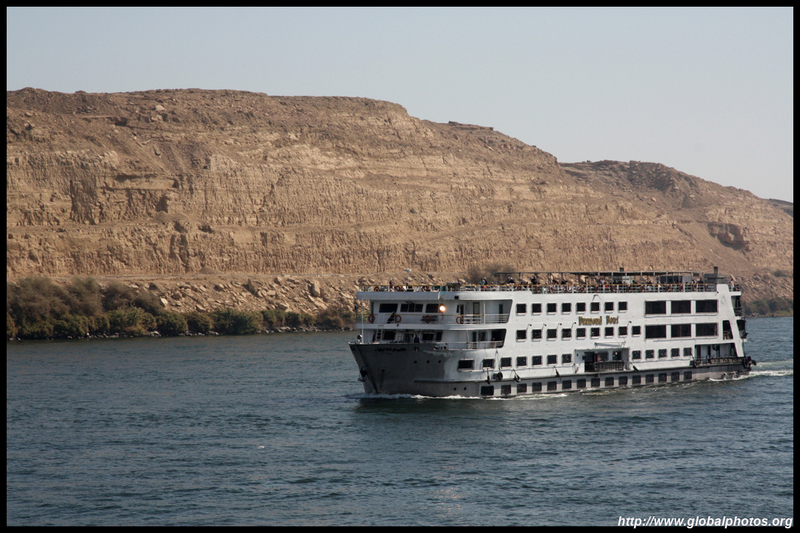 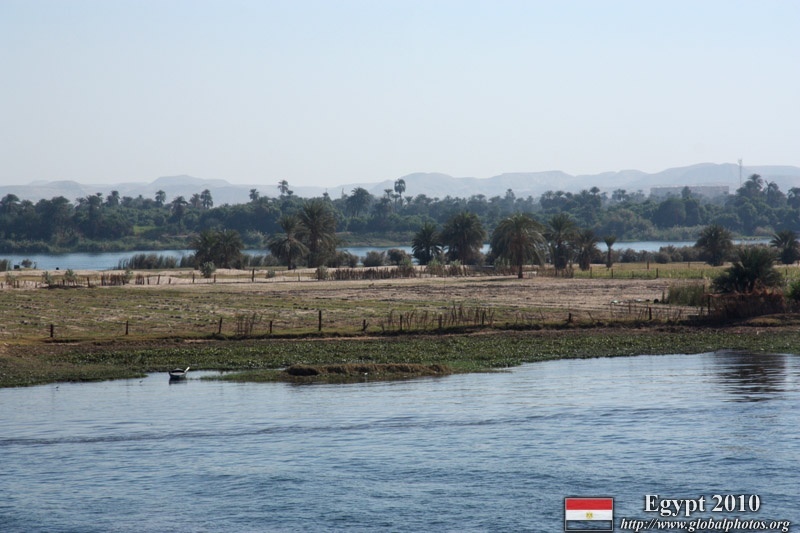 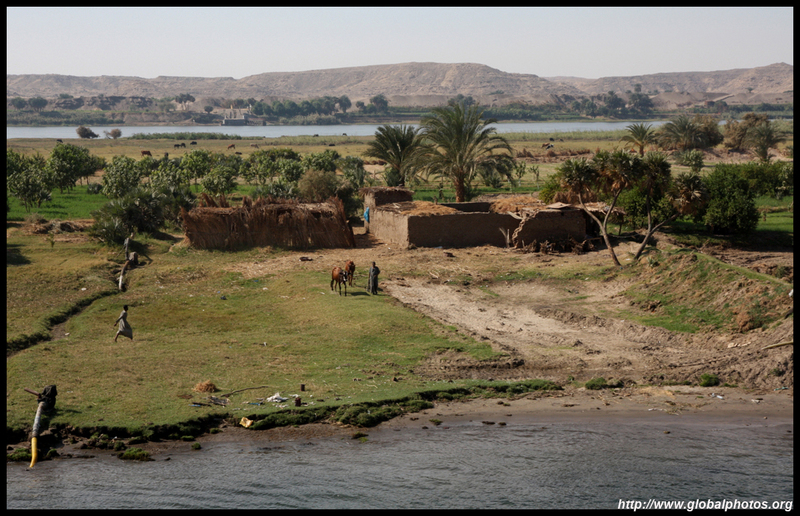 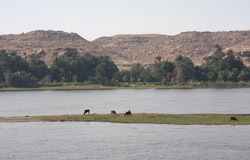 The convoy is off again - heading further south towards Kom Ombo. 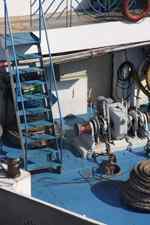 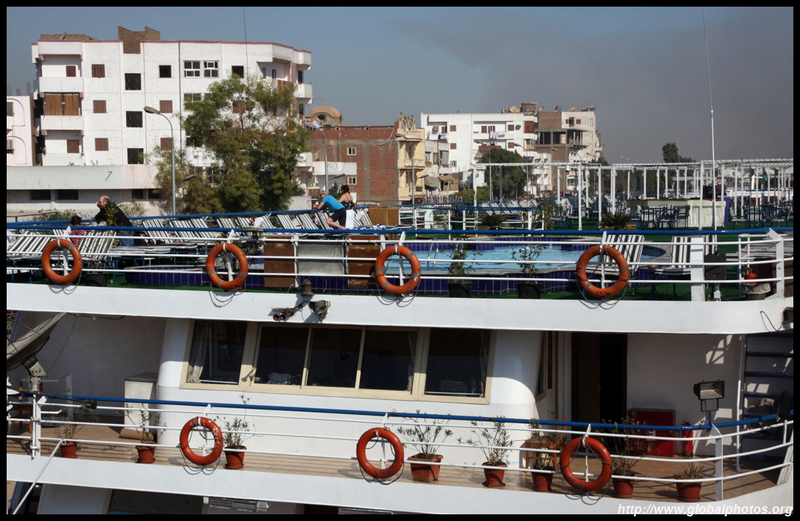 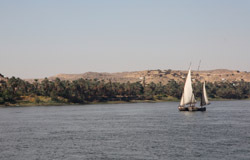 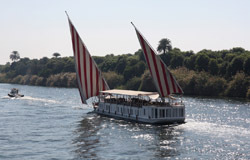 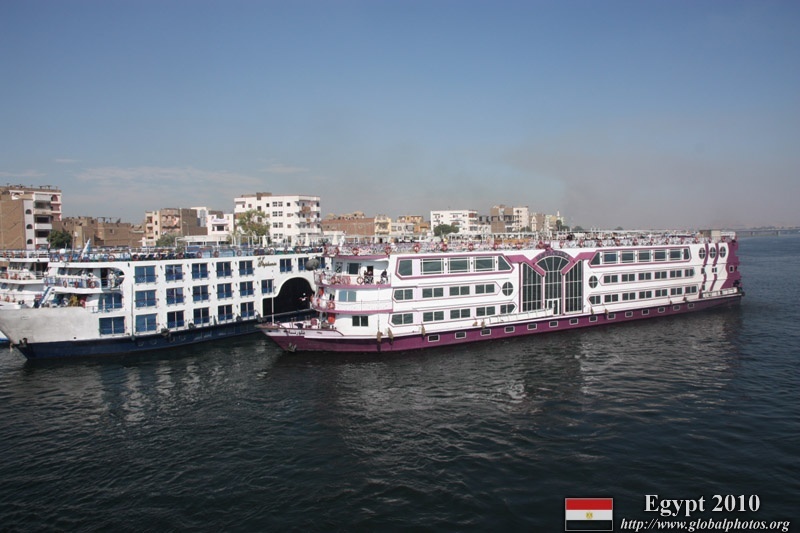 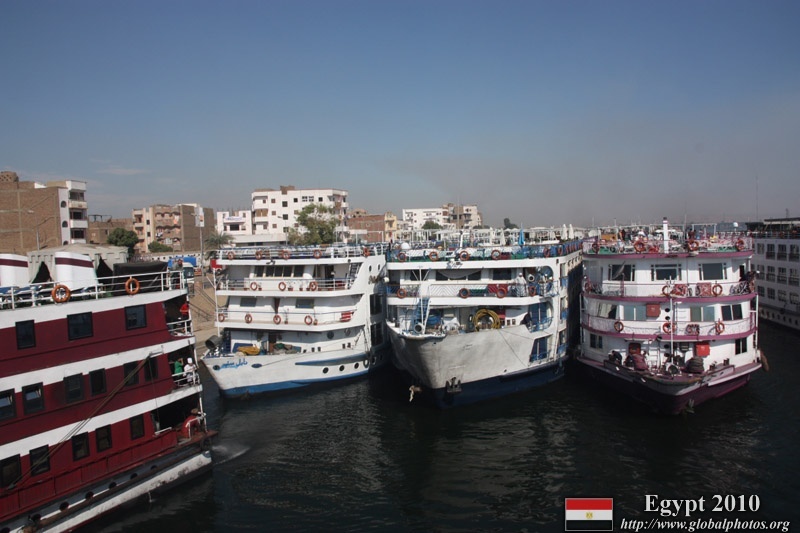 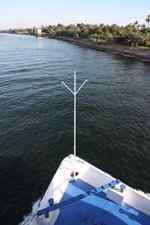 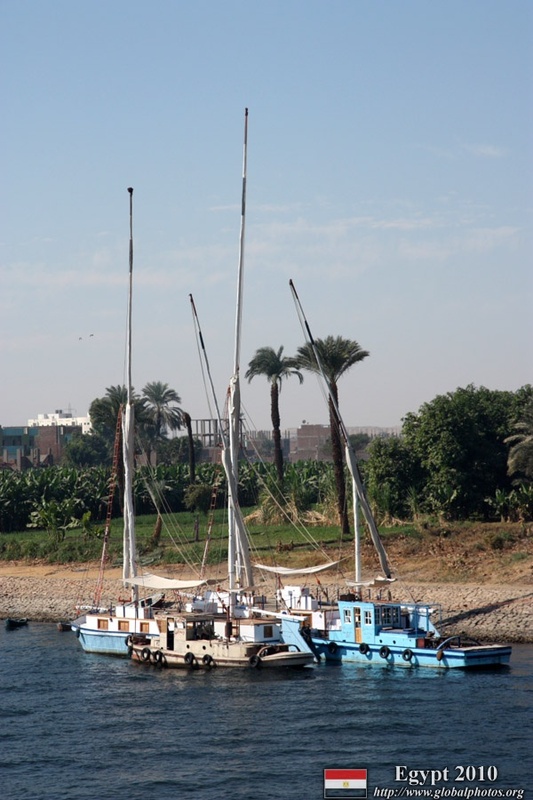 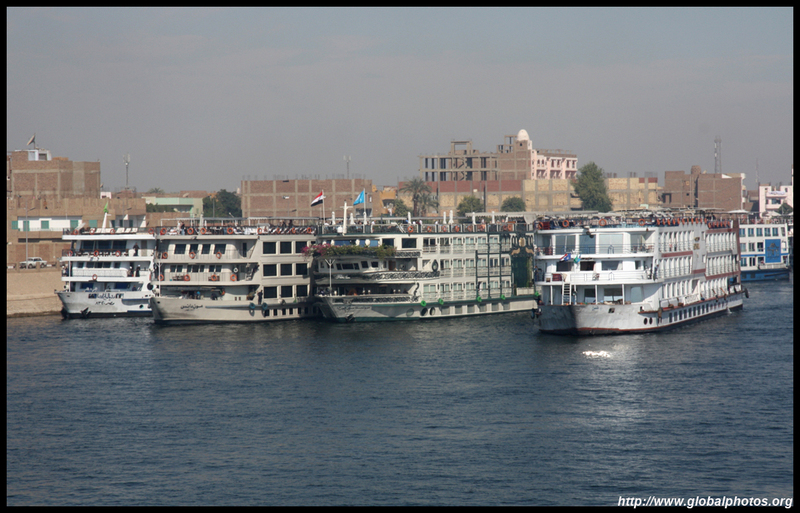 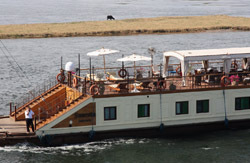 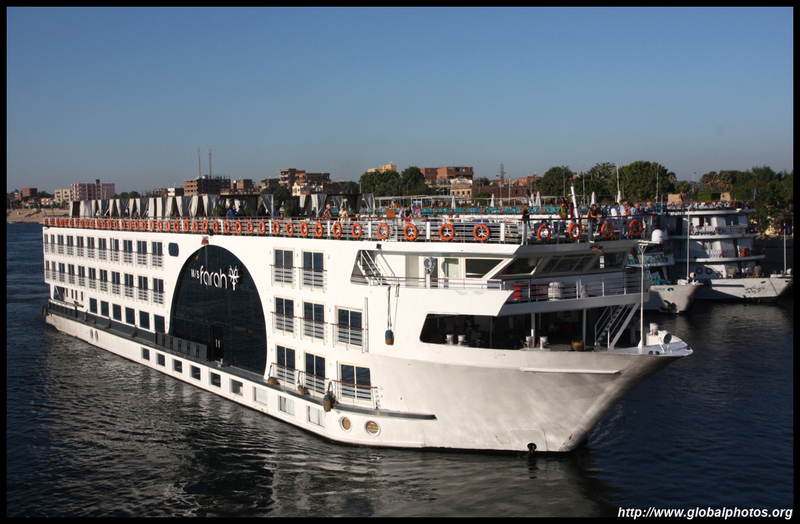 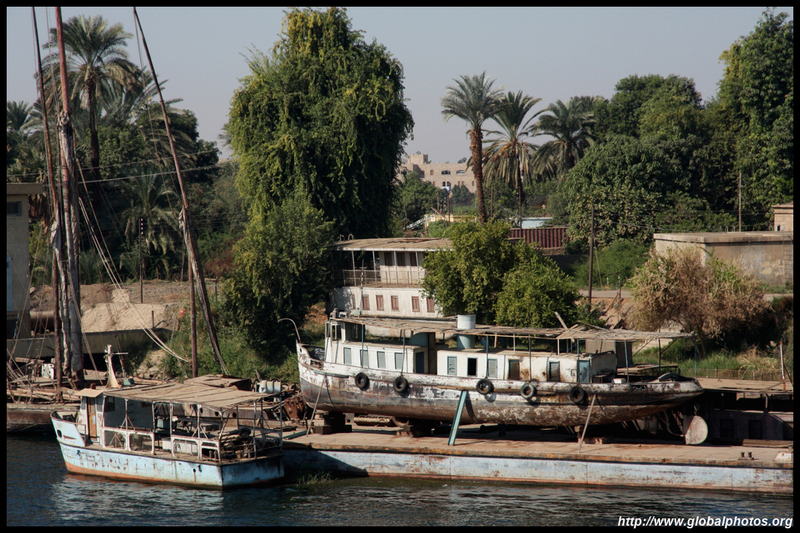 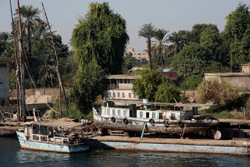 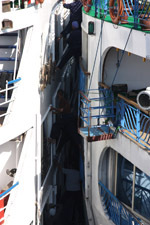 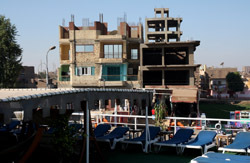 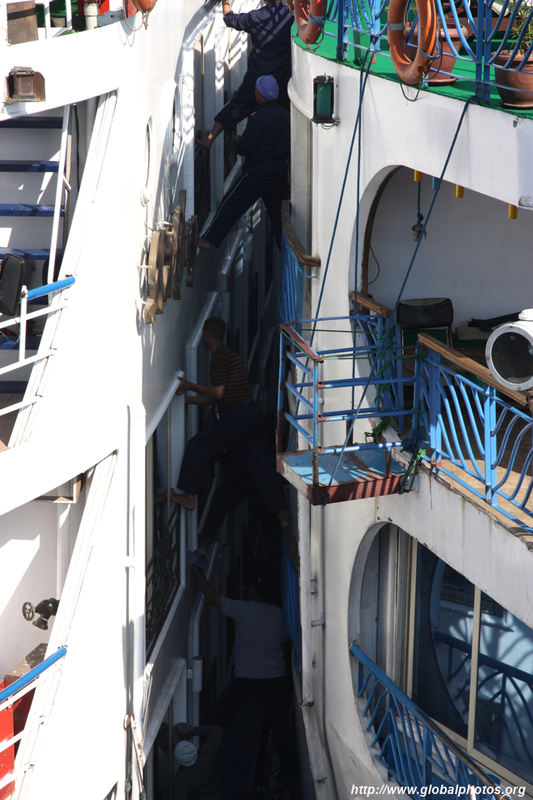 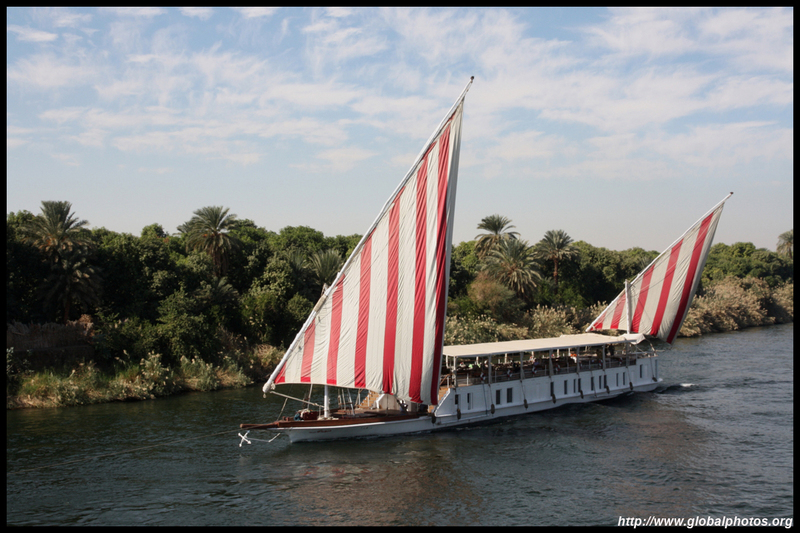 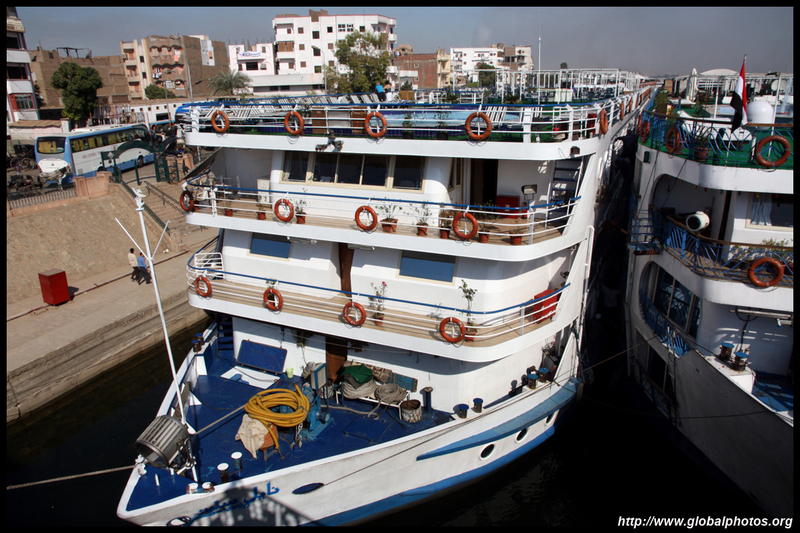 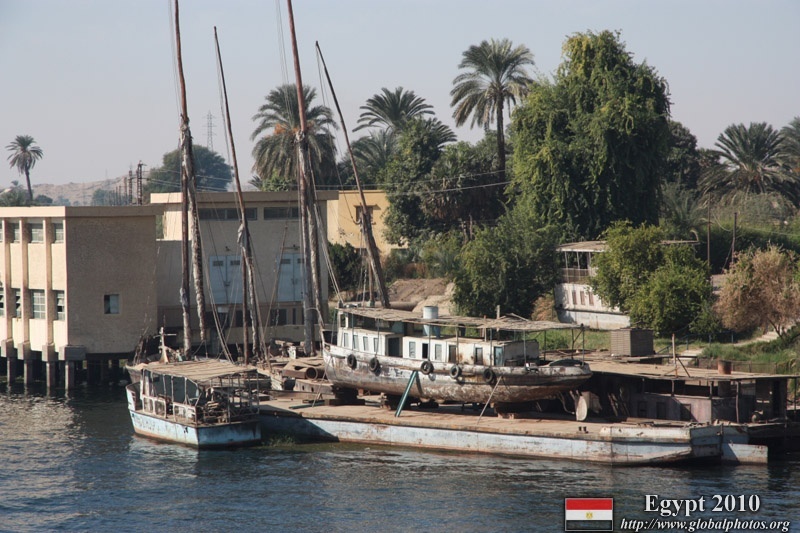 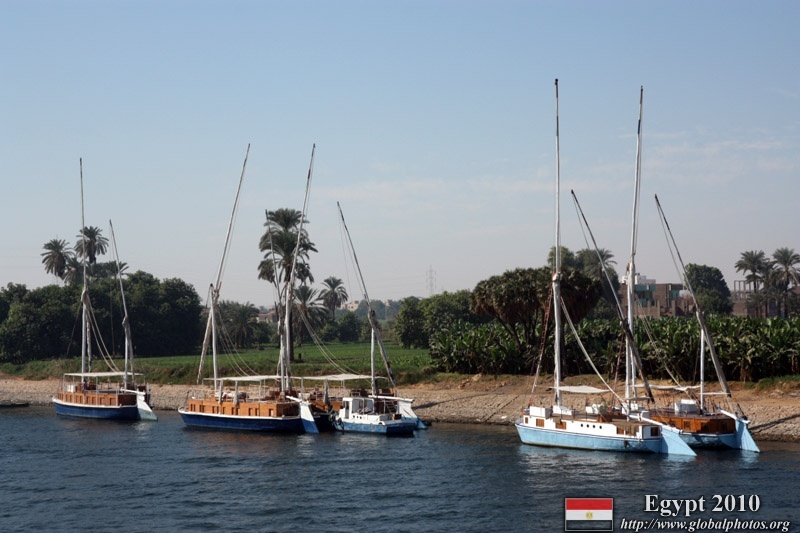 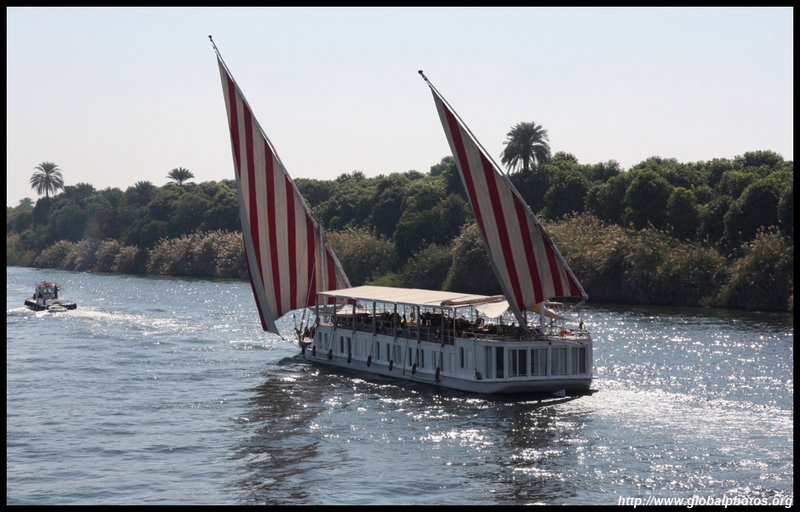 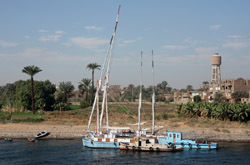 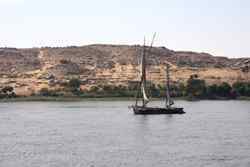 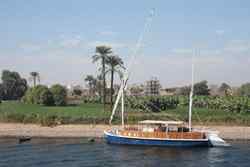 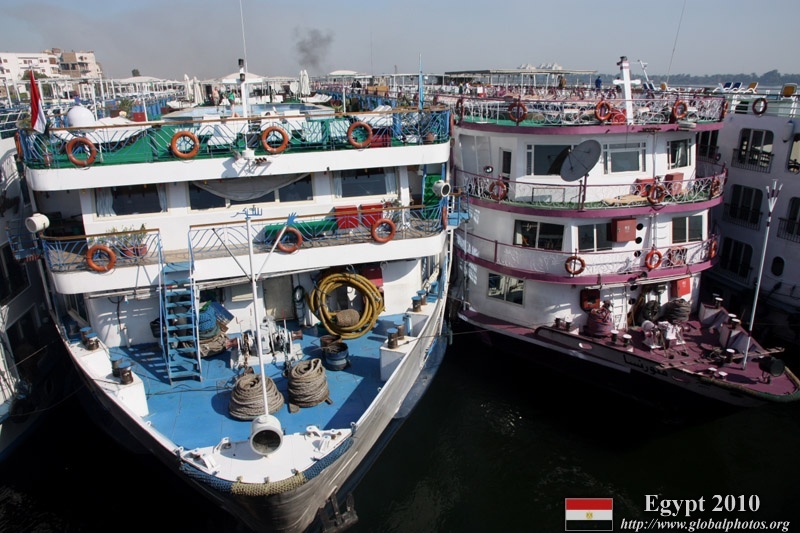 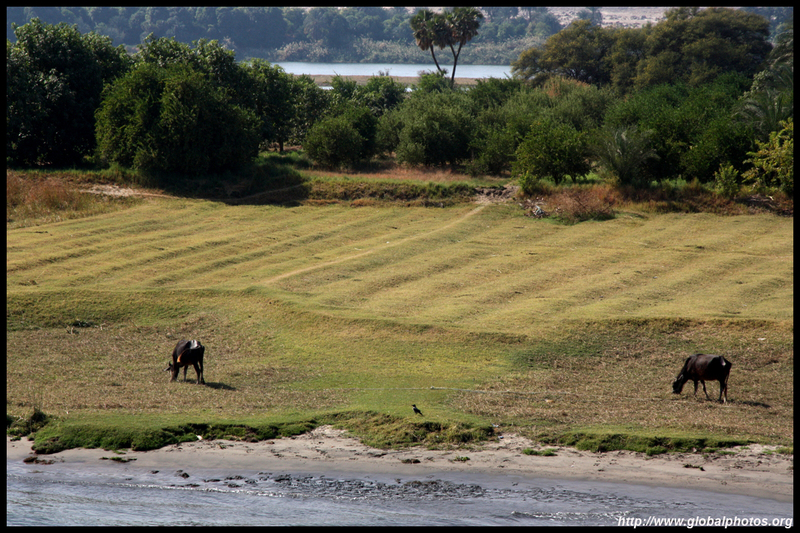 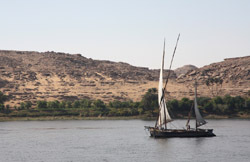 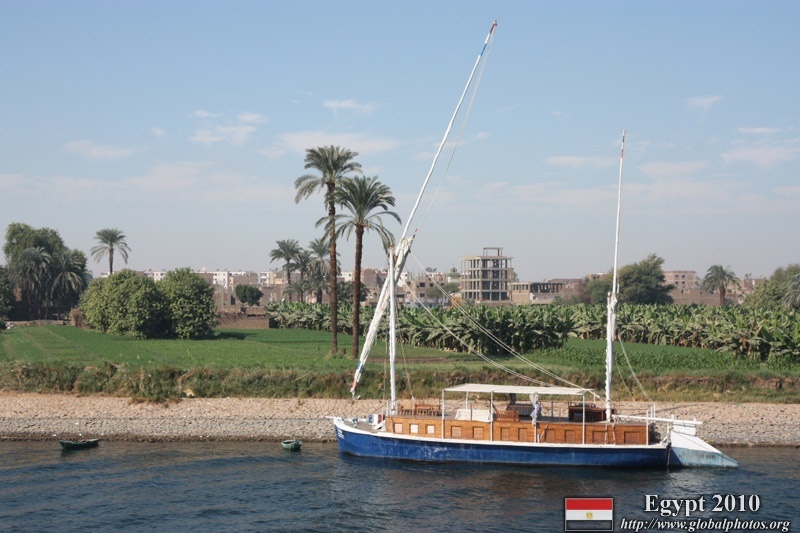 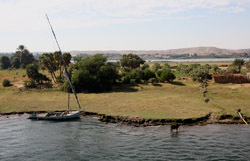 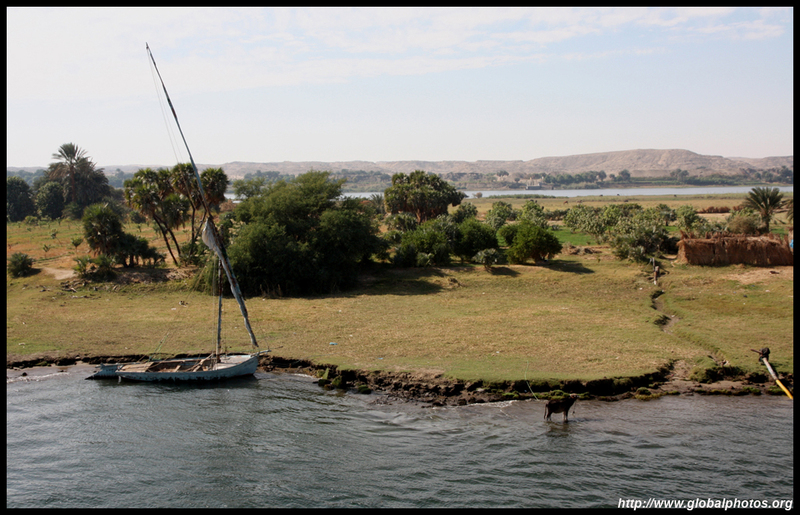 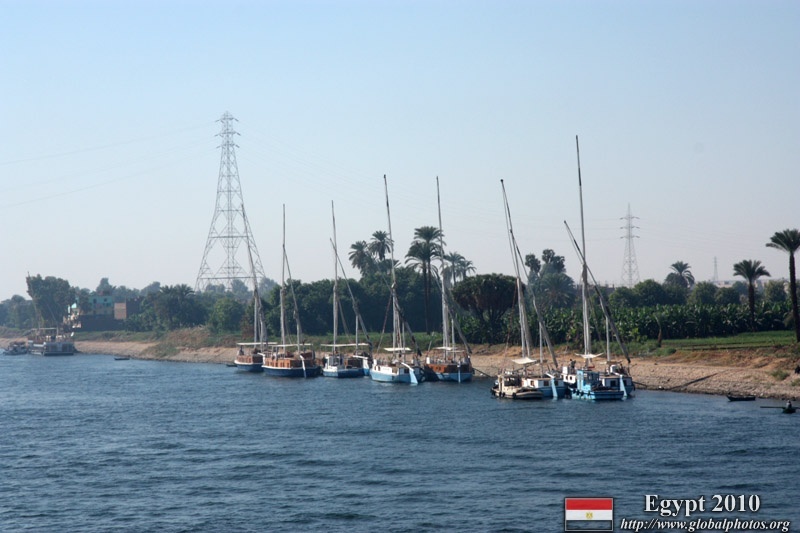 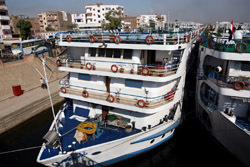 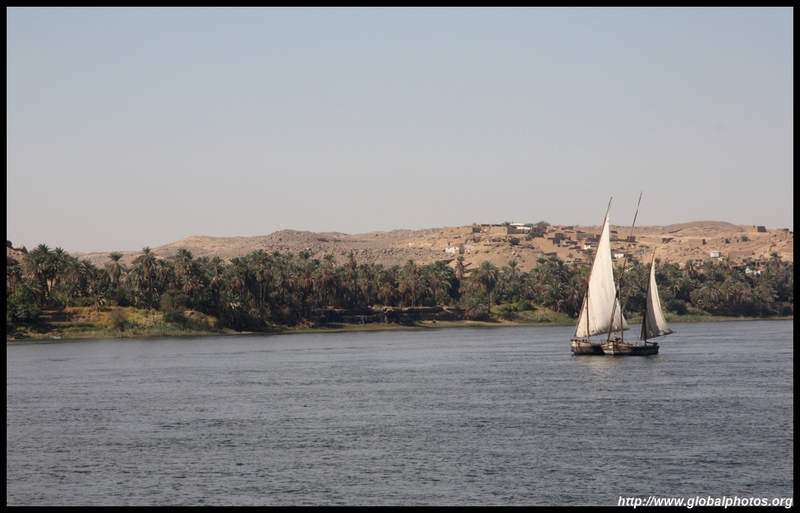 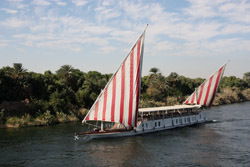 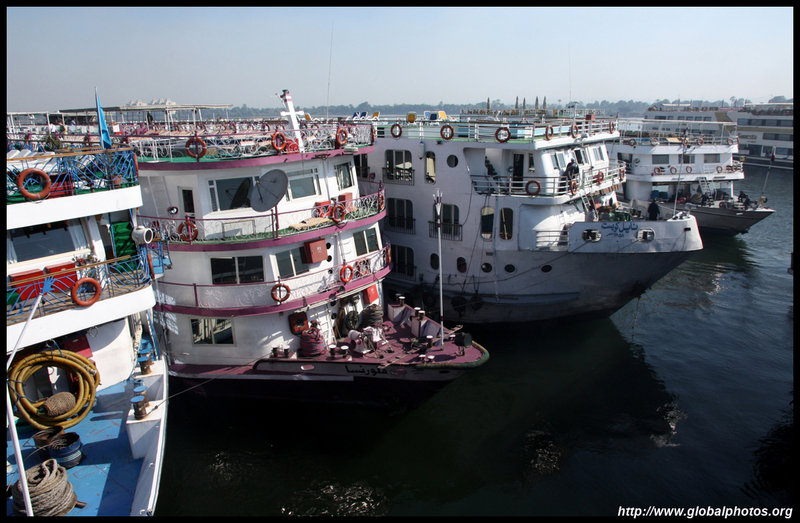 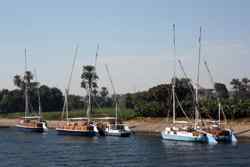 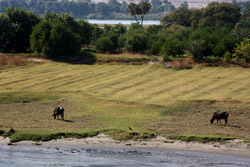 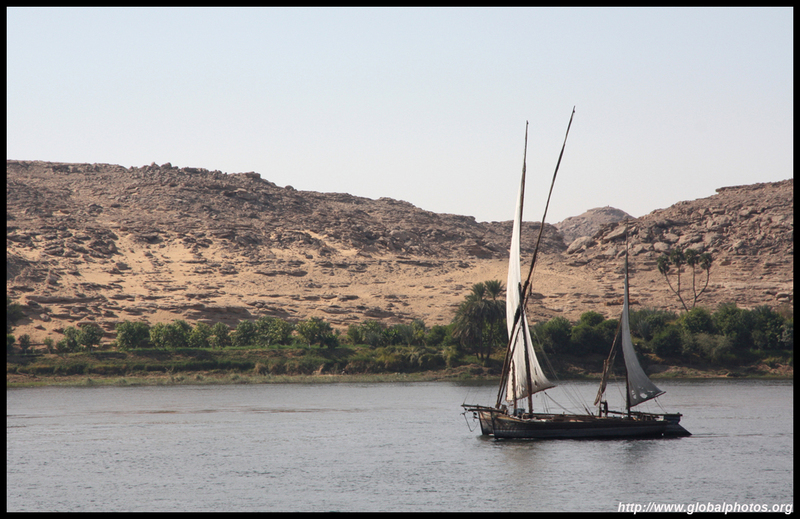 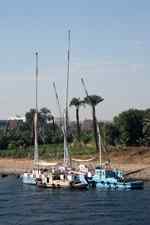 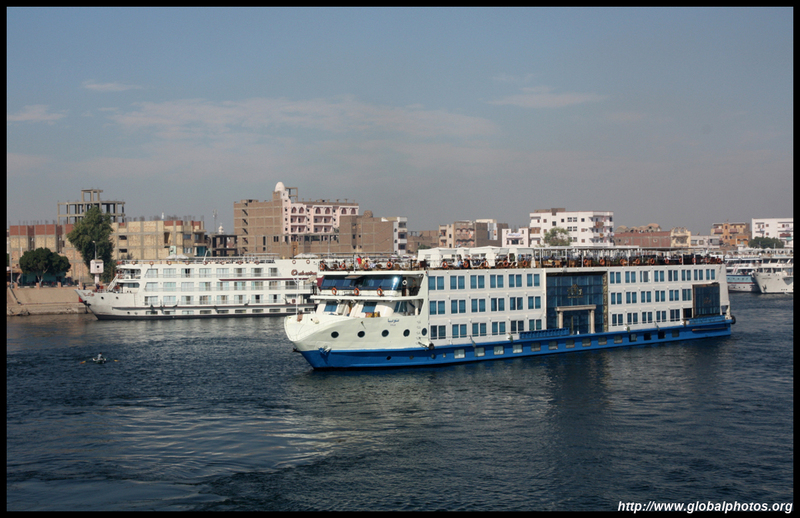 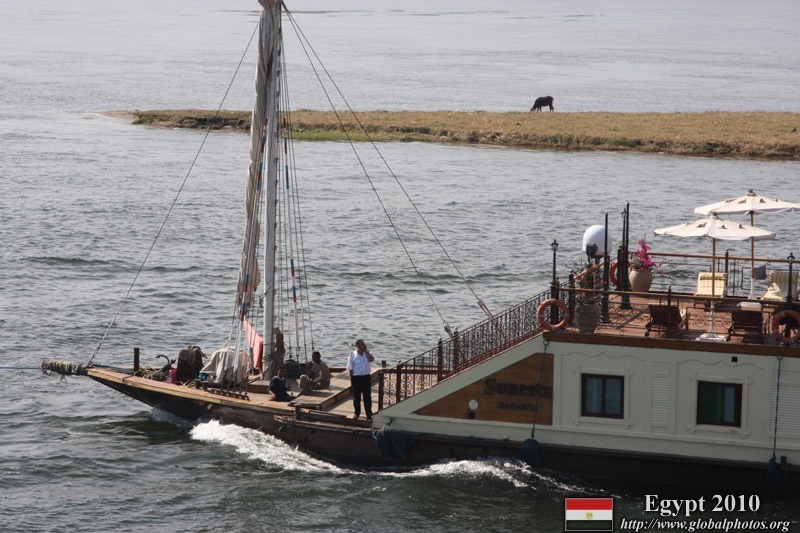 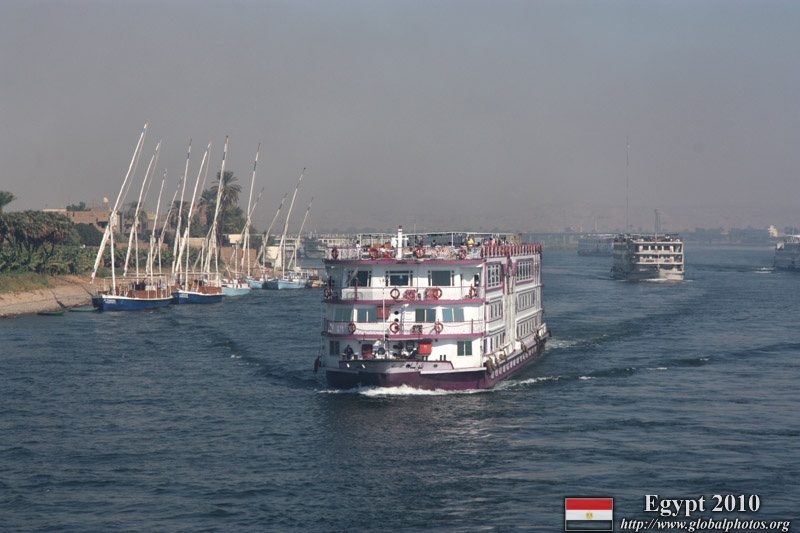 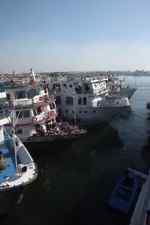 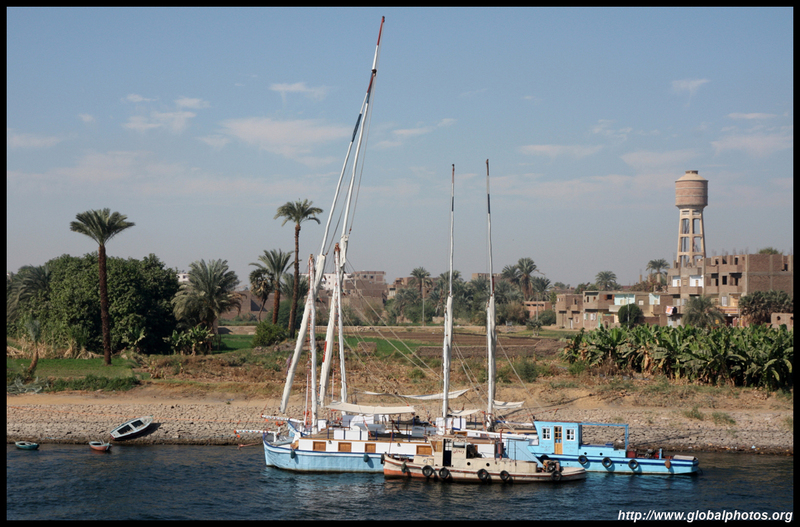 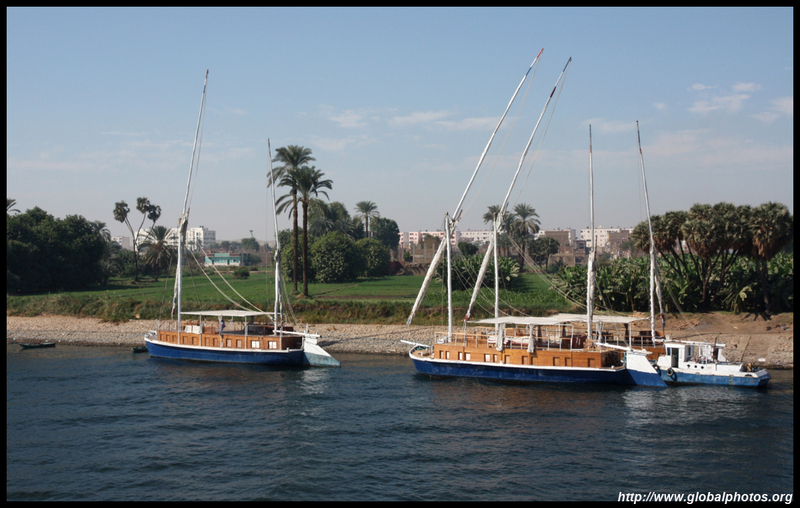 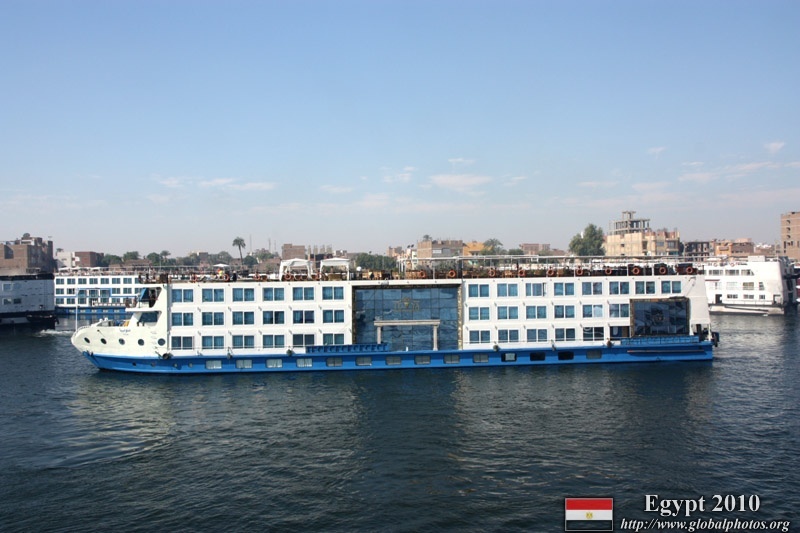 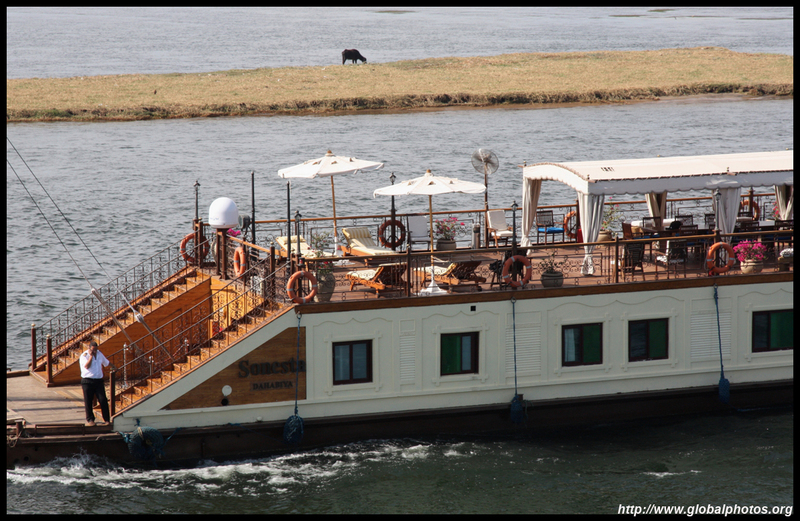 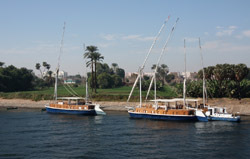 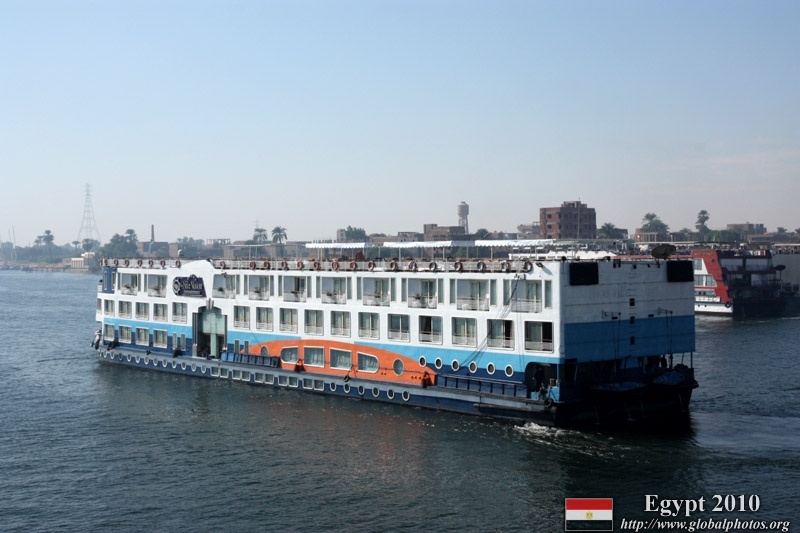 This felucca seems to have lost its sails! 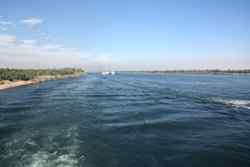 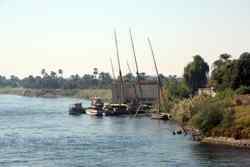 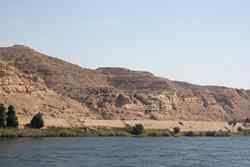 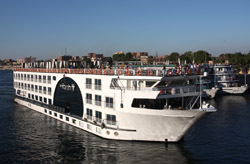 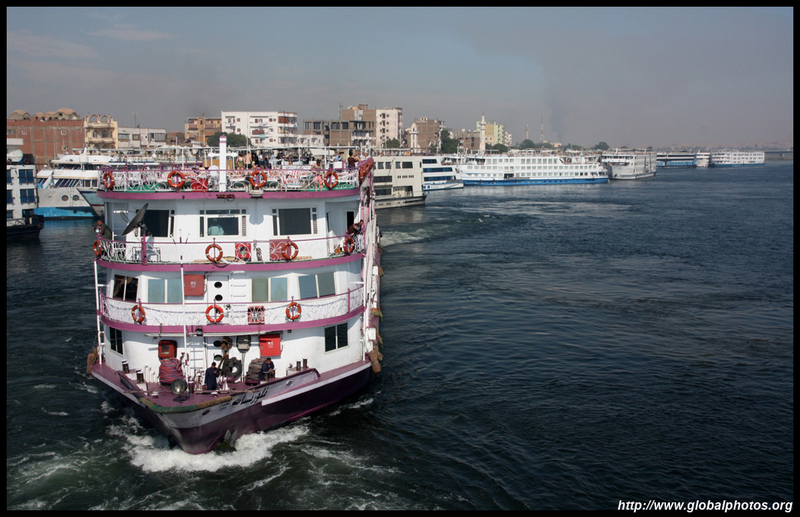 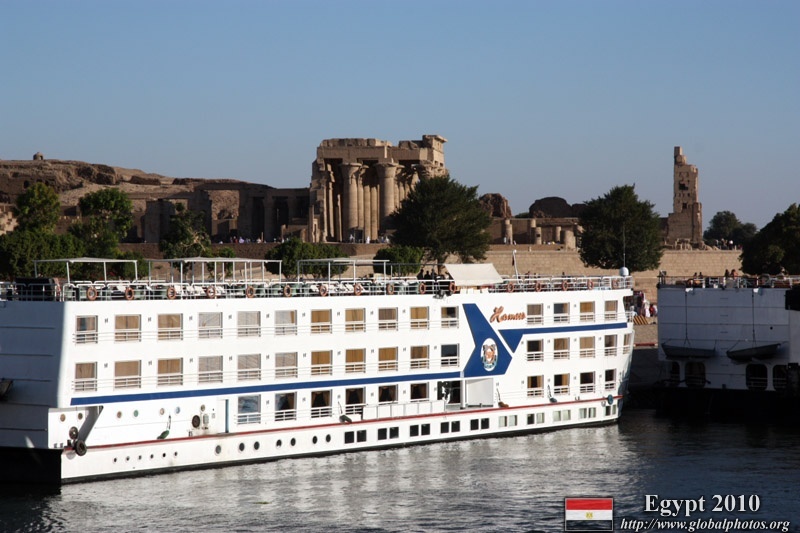 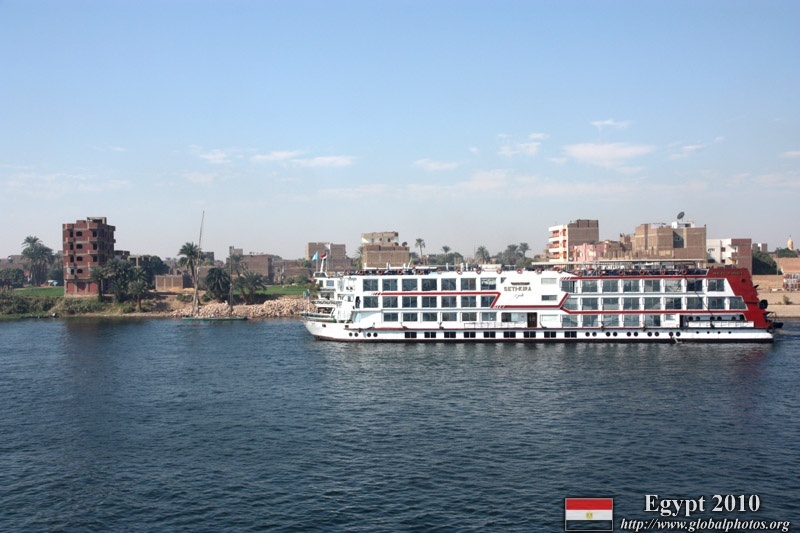 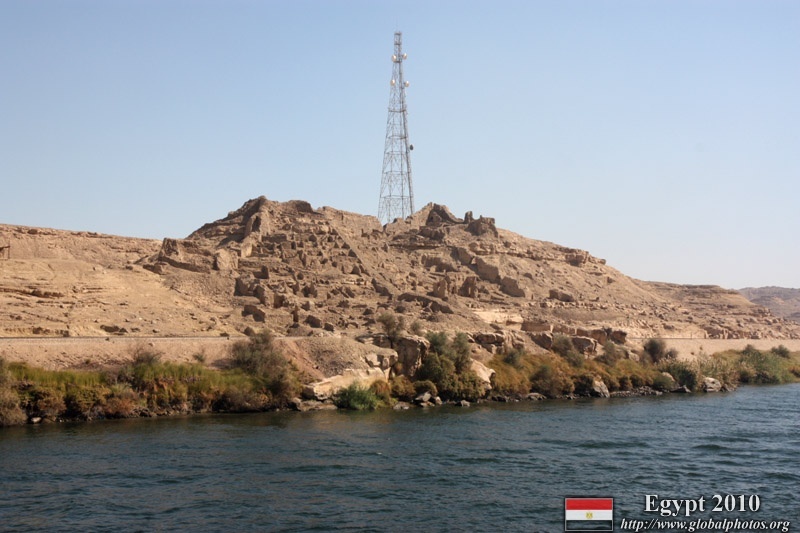 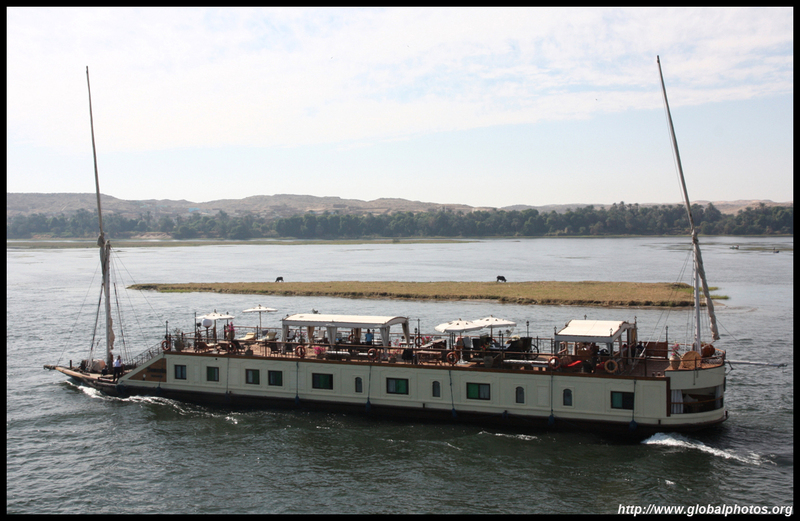 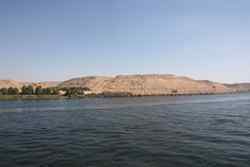 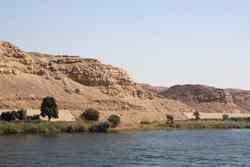 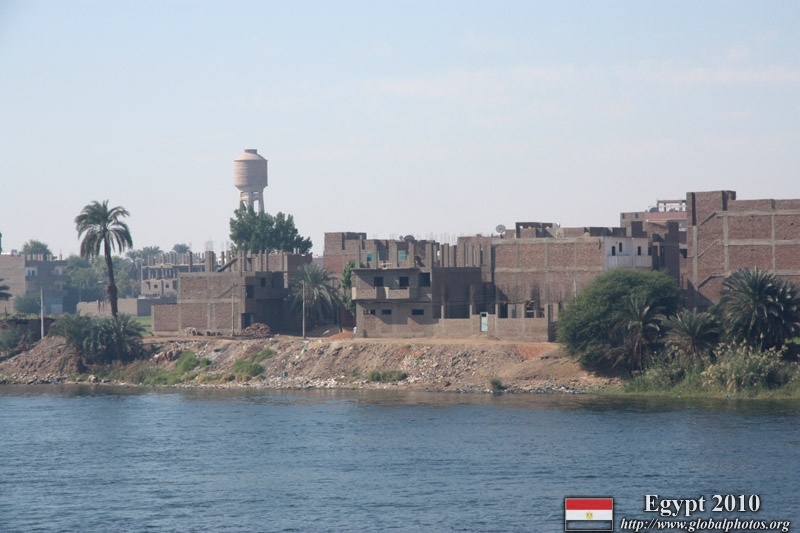 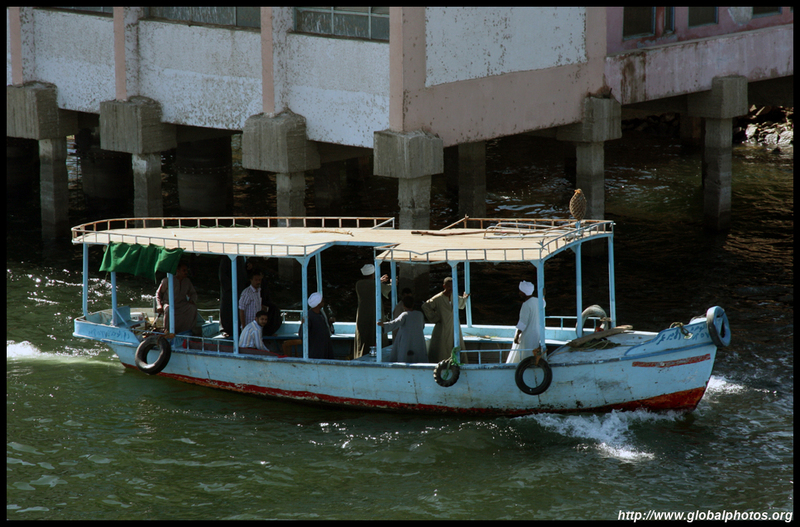 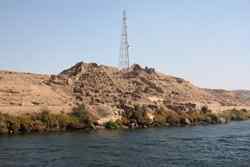 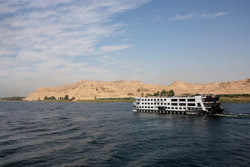 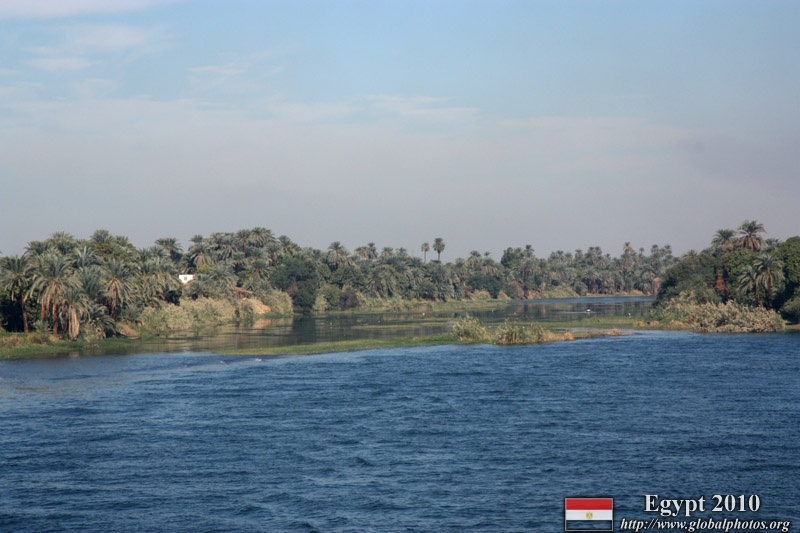 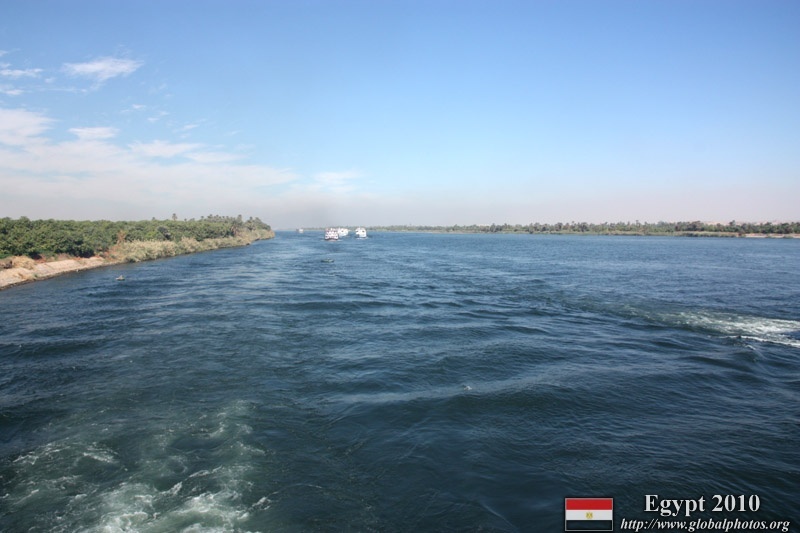 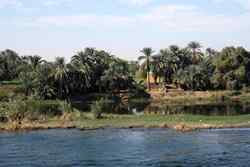 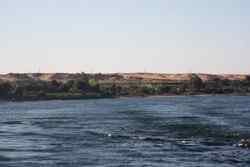 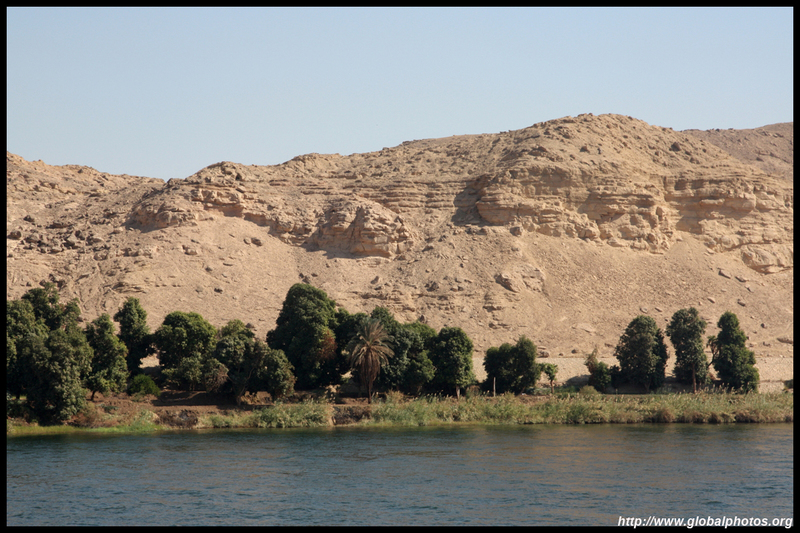 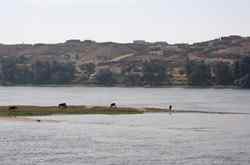 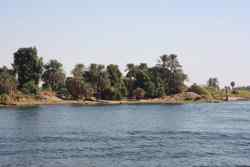 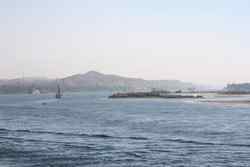 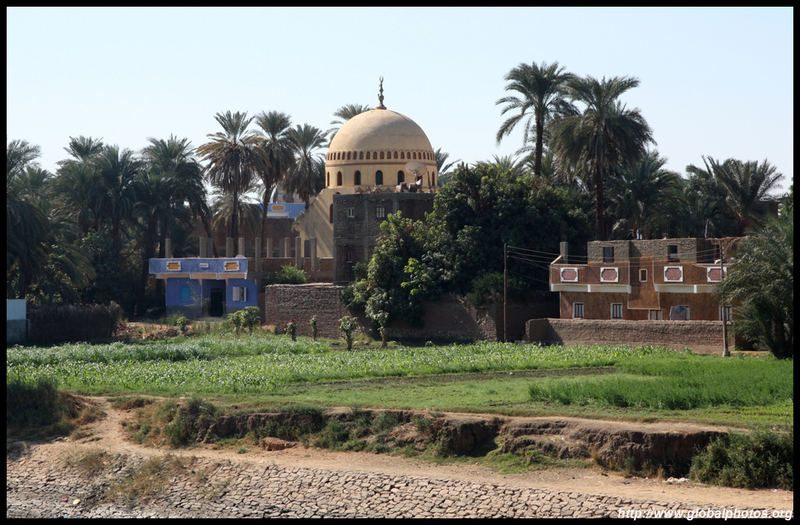 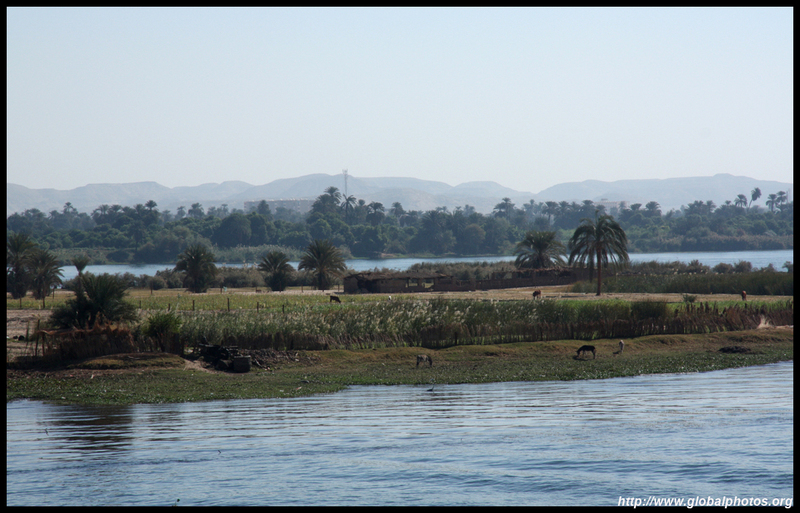 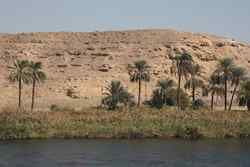 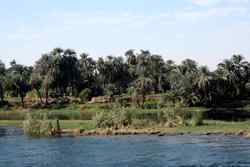 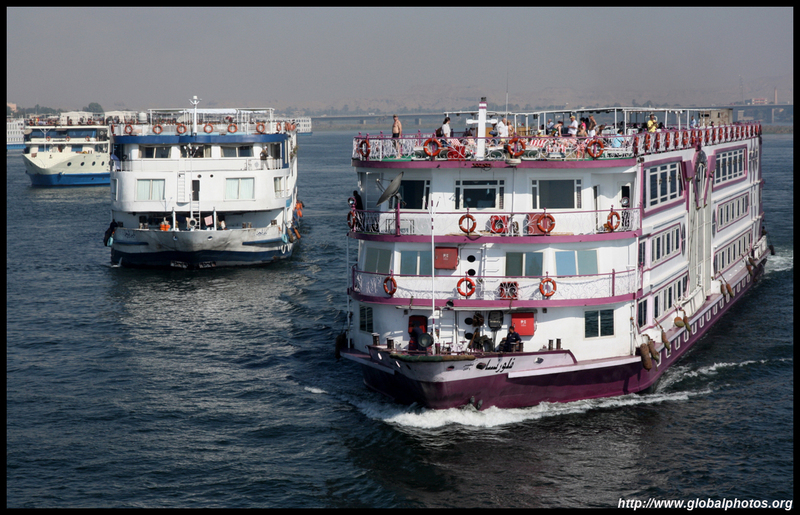 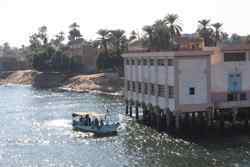 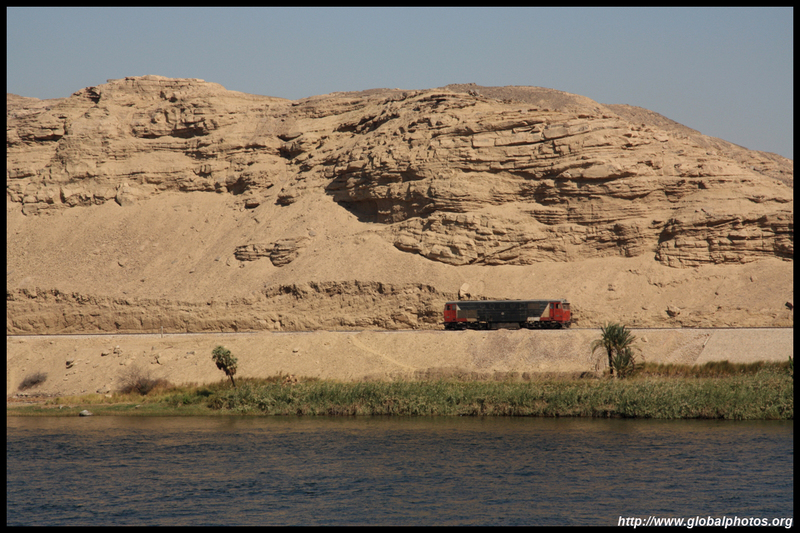 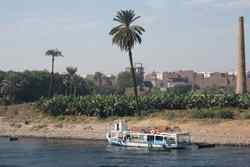 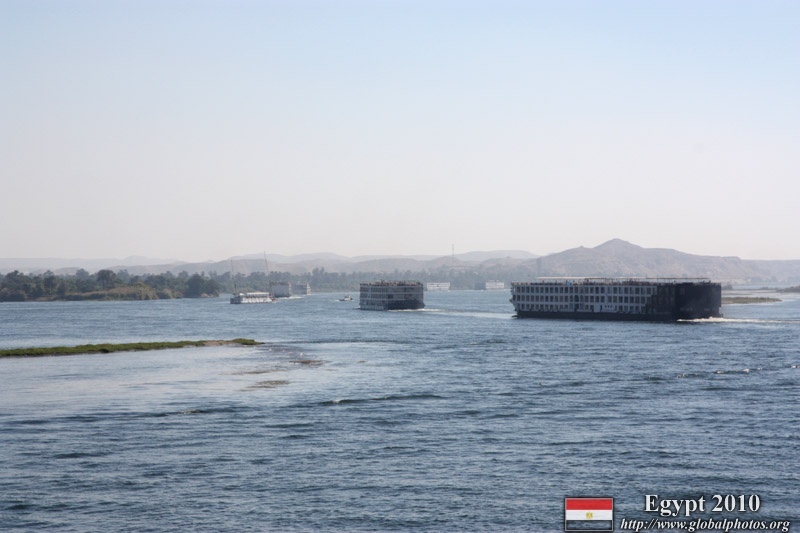 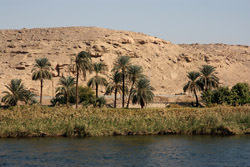 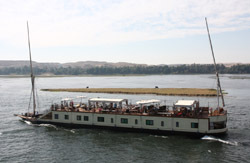 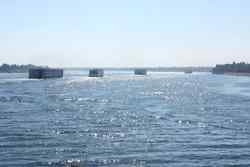 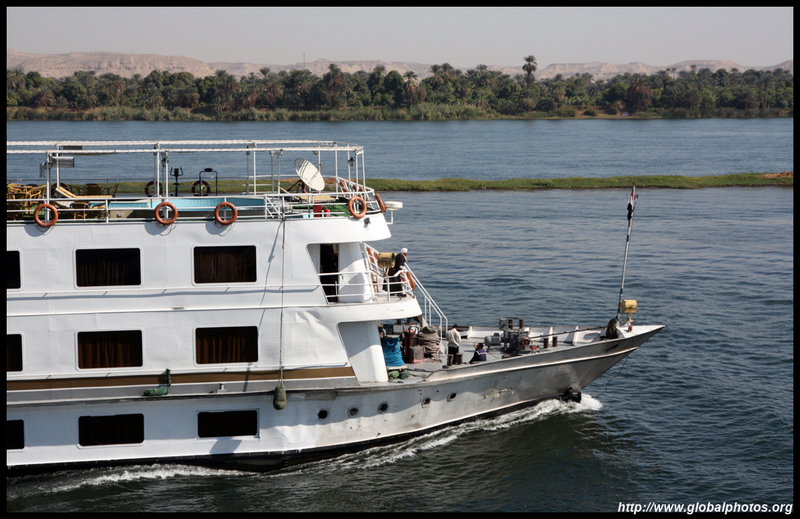 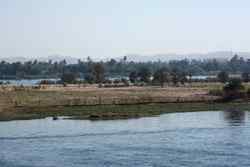 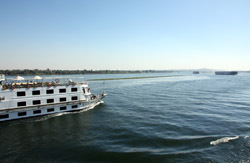 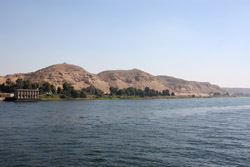 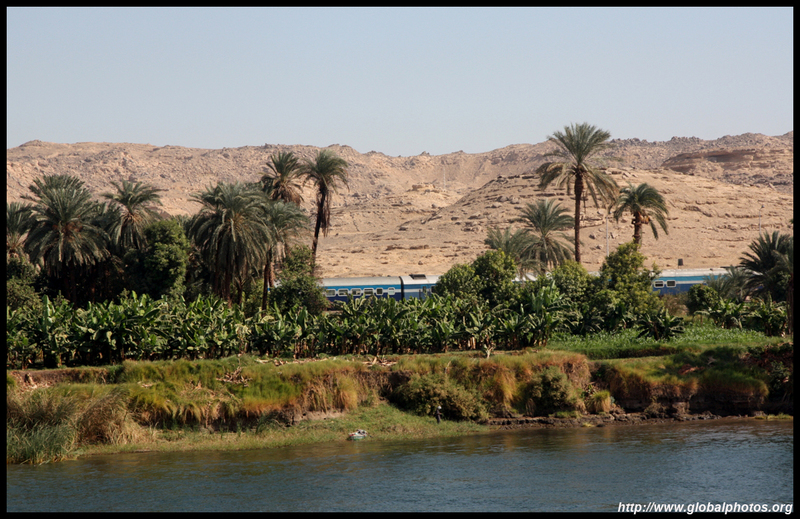 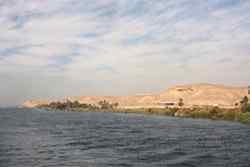 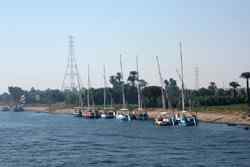 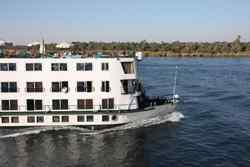 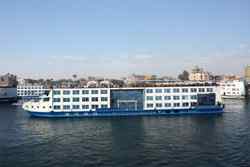 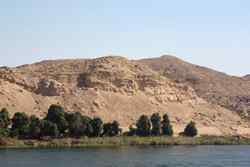 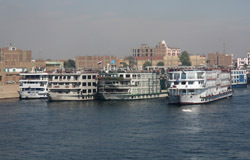 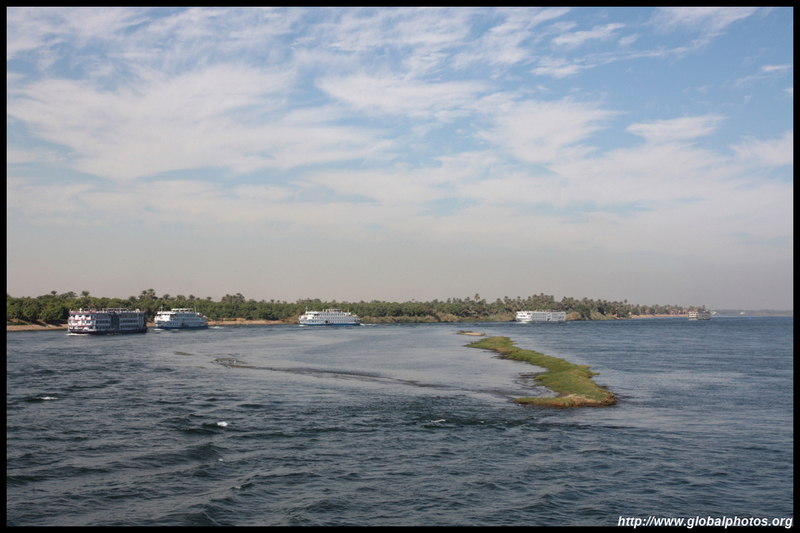 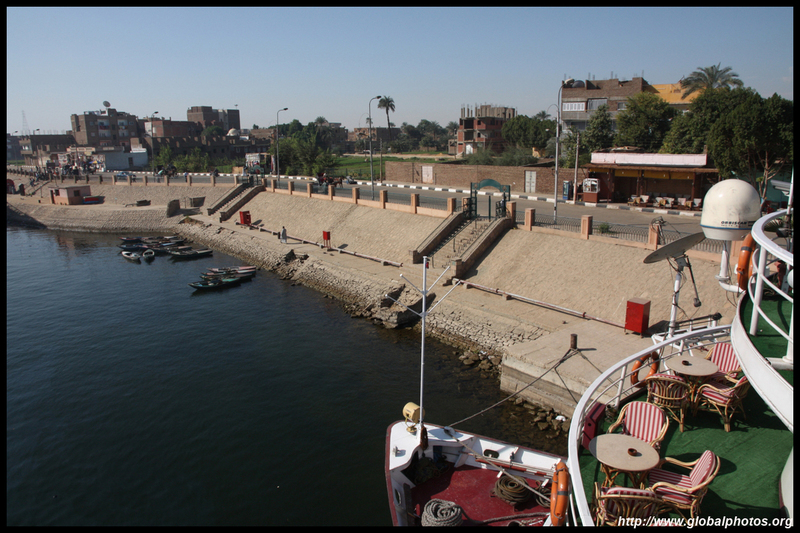 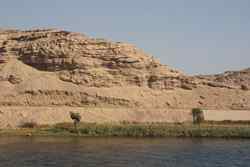 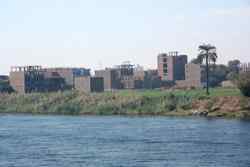 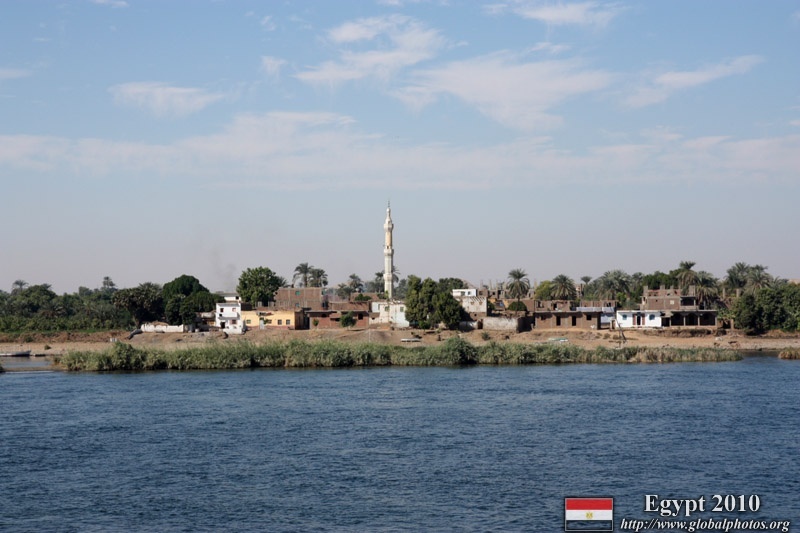 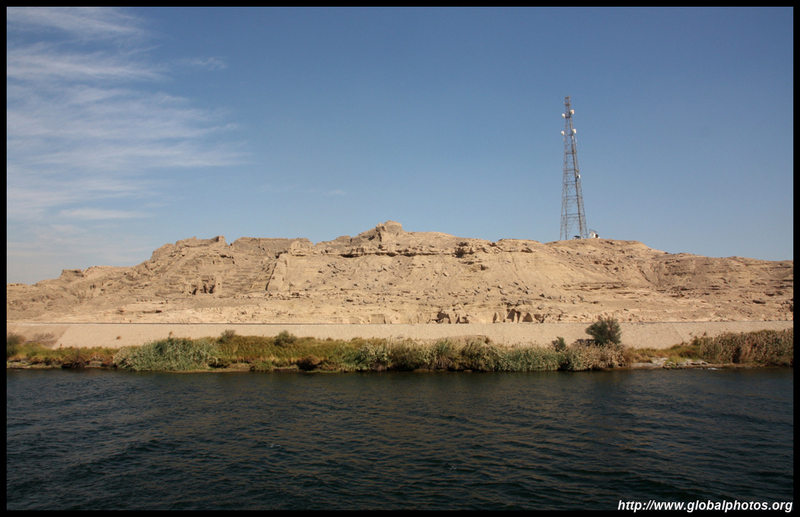 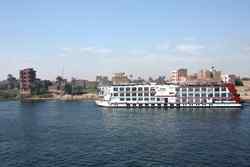 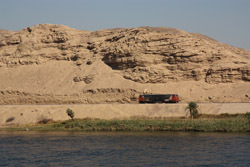 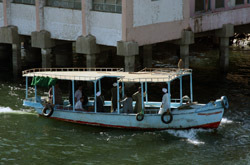 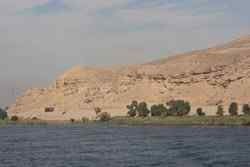 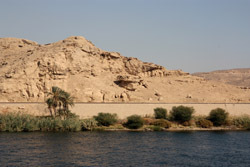 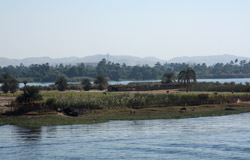 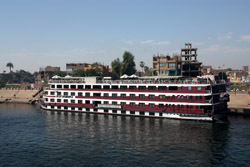 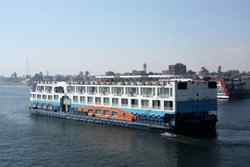 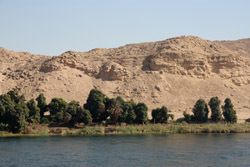 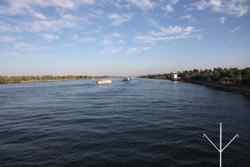 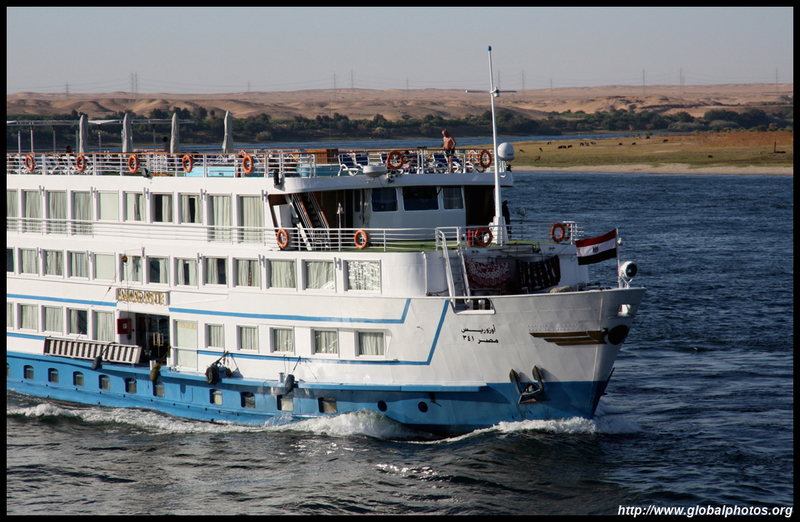 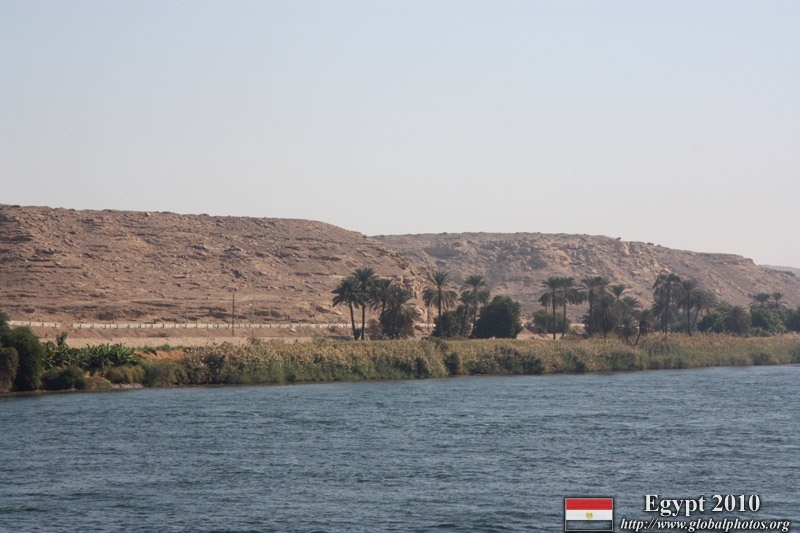 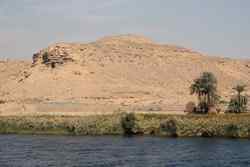 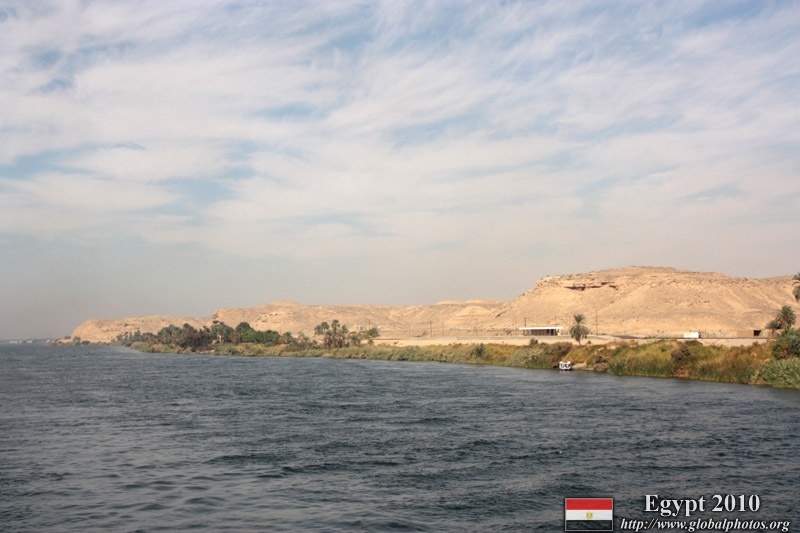 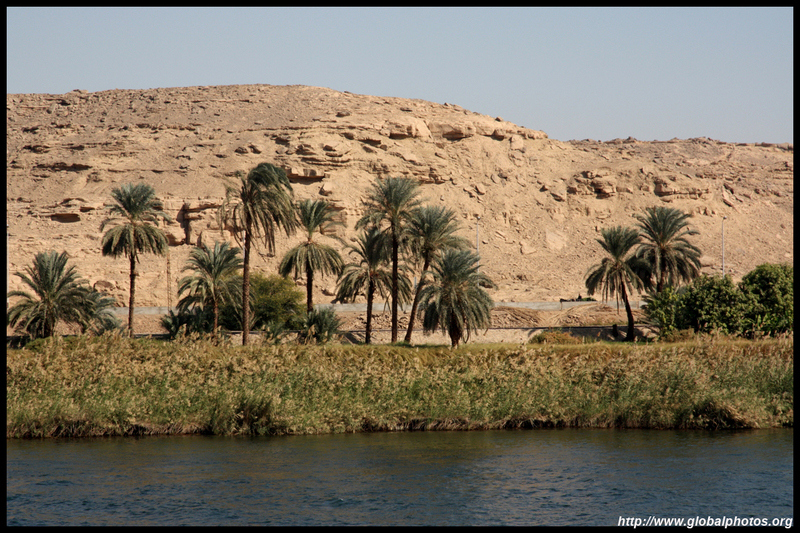 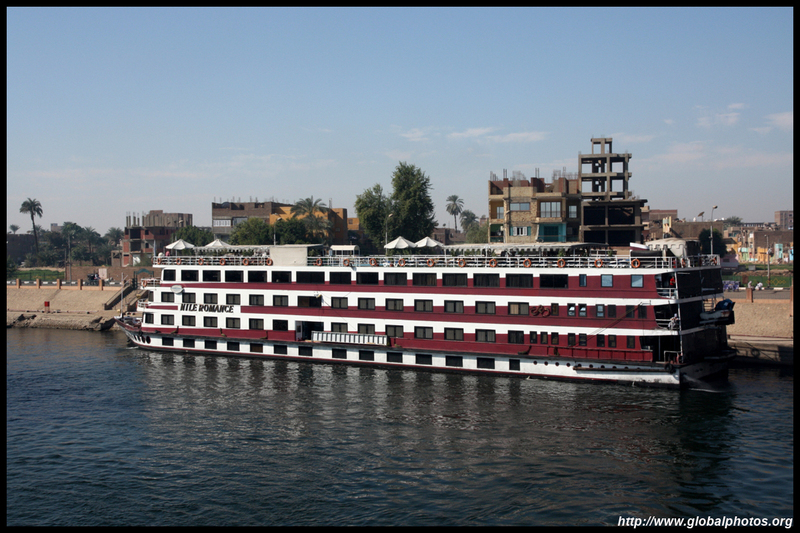 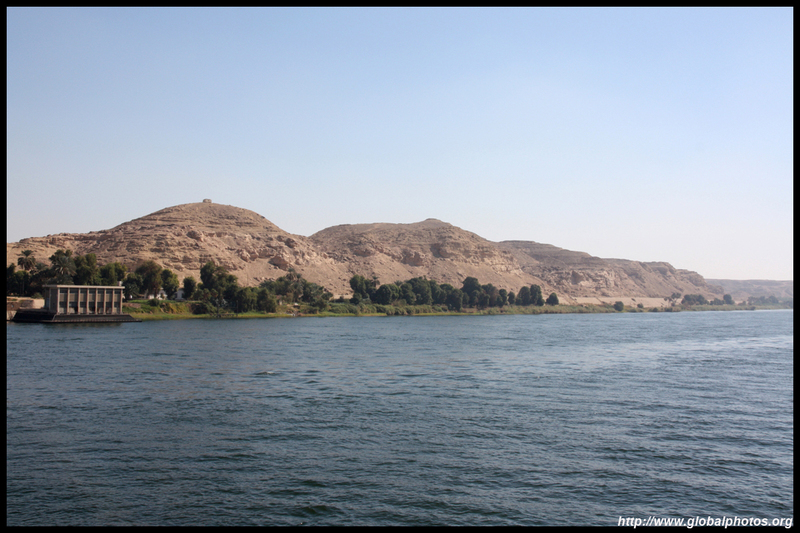 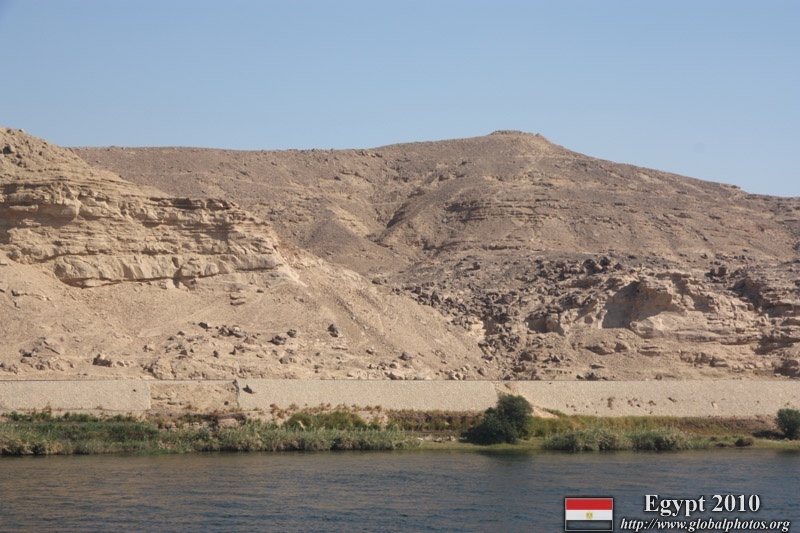 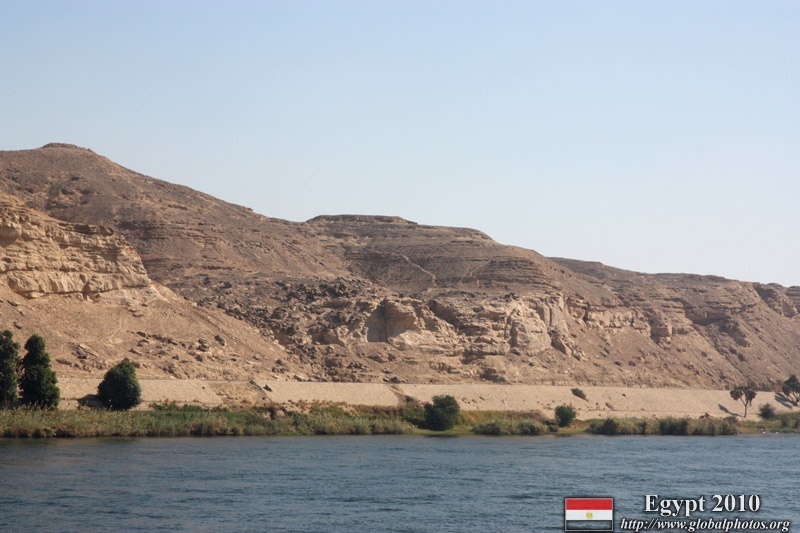 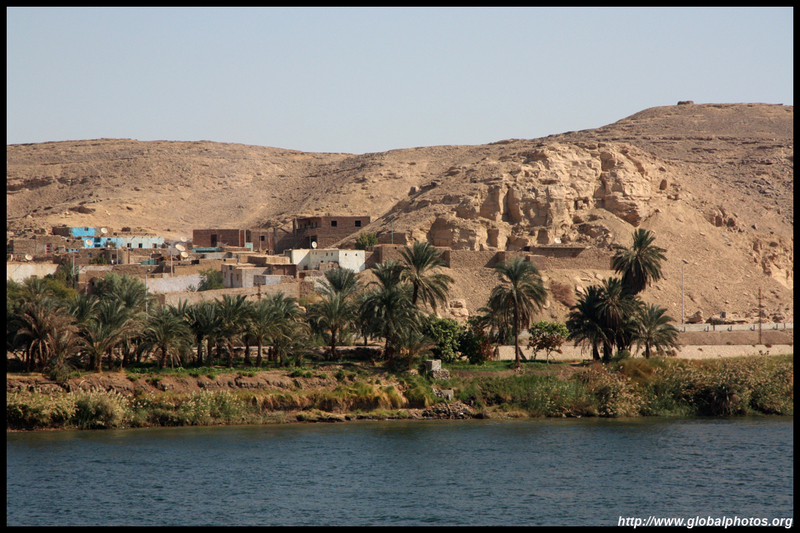 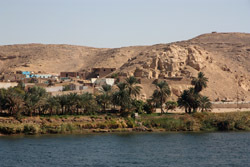 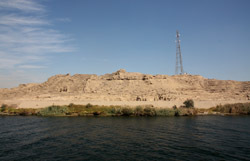 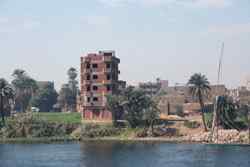 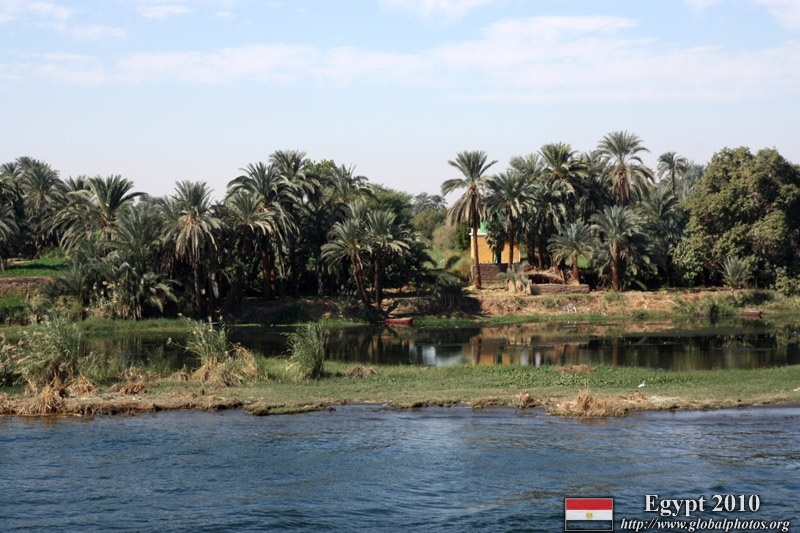 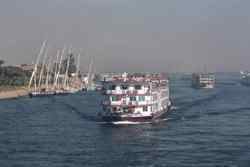 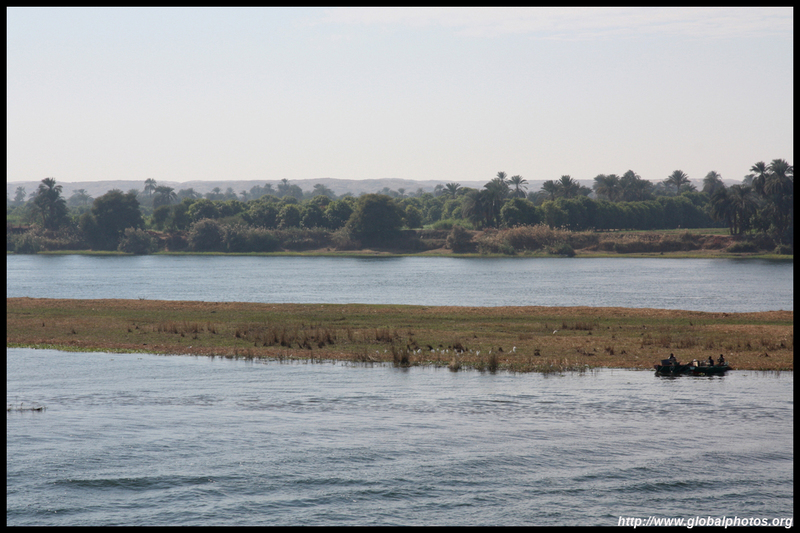 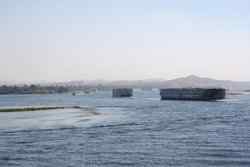 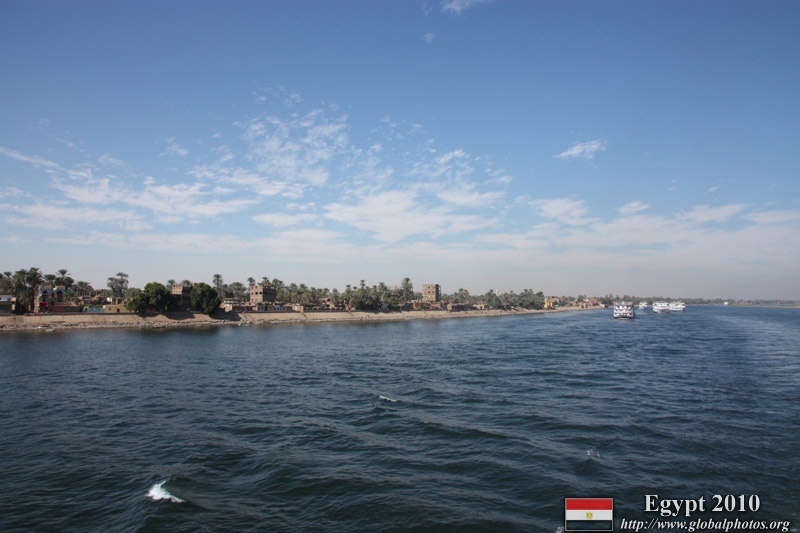 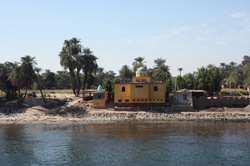 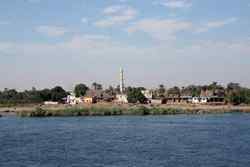 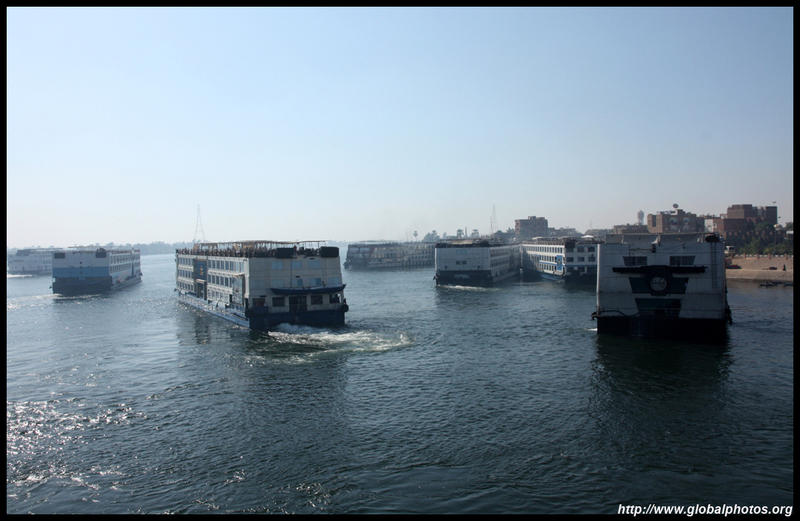 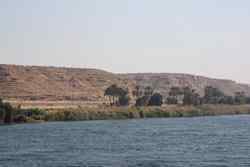 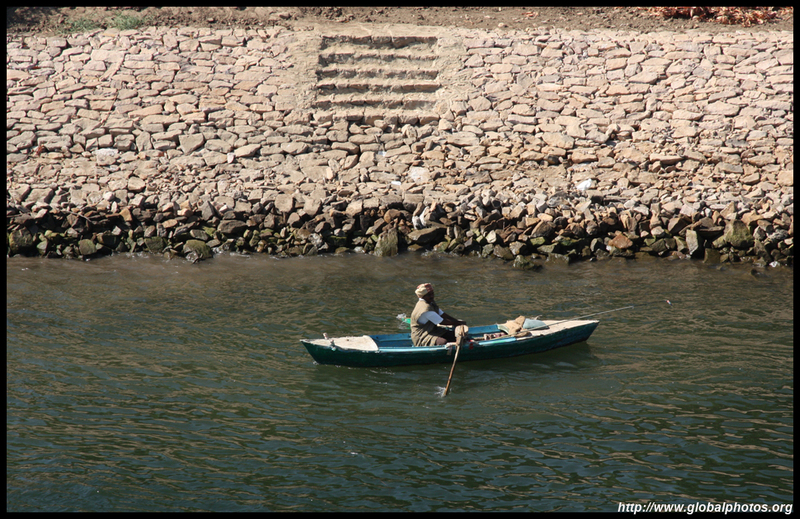 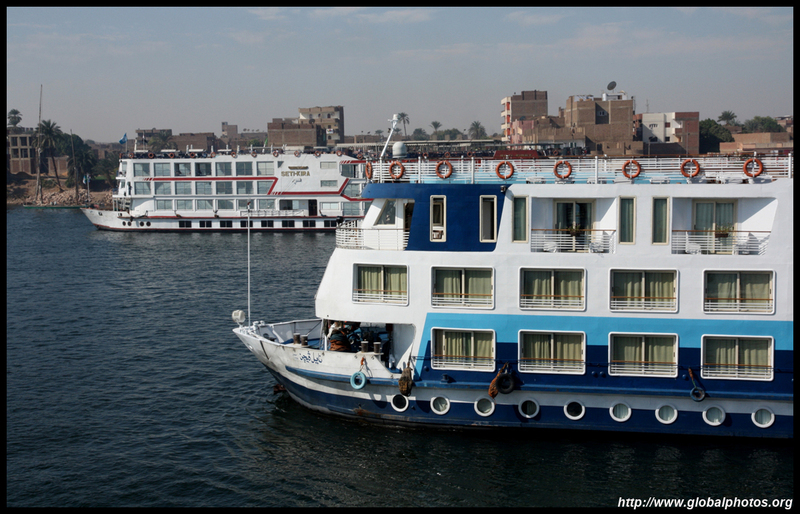 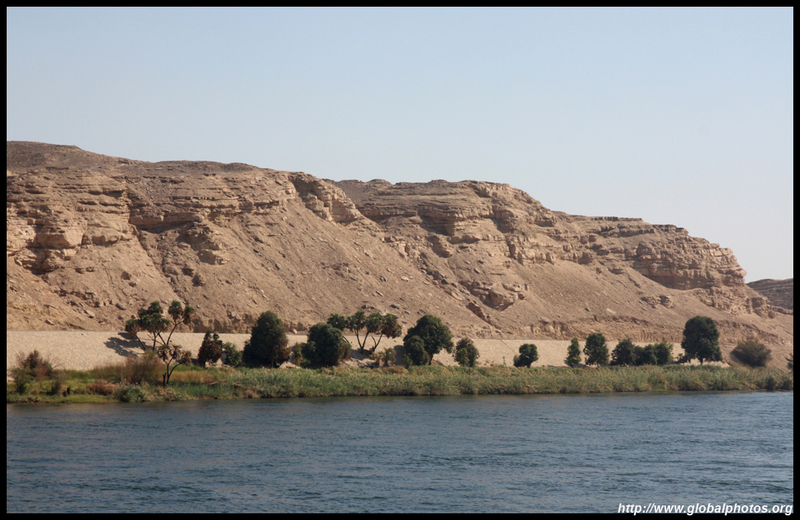 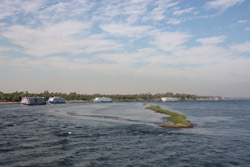 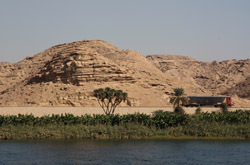 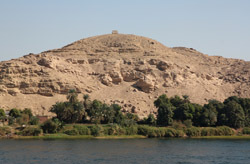 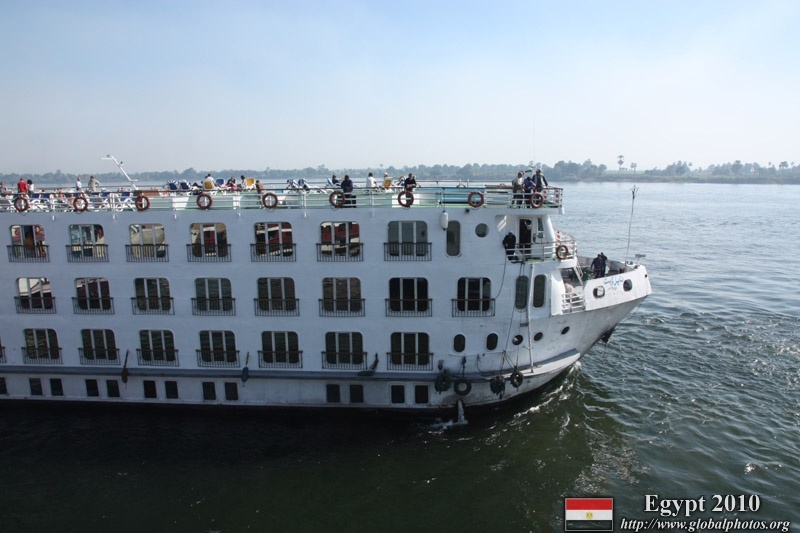 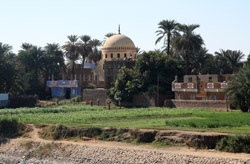 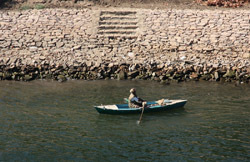 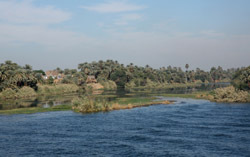 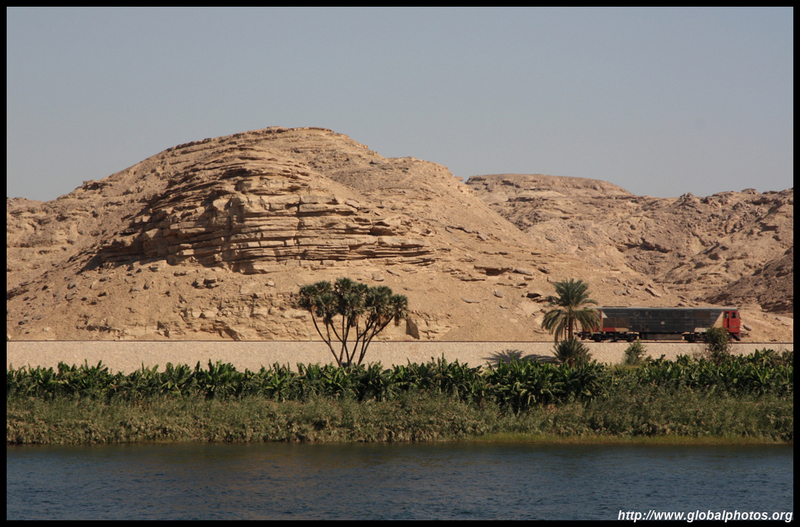 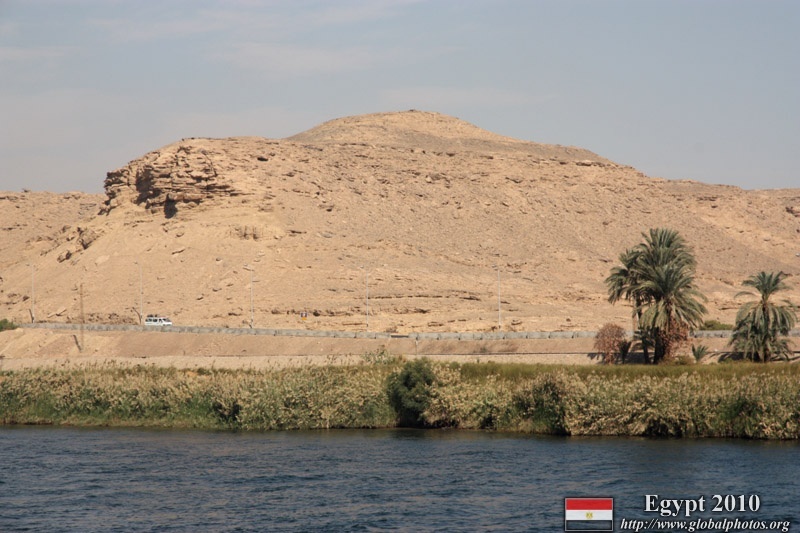 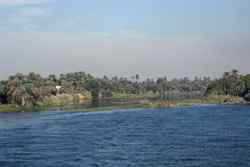 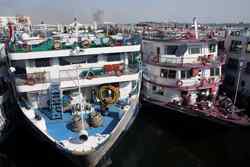 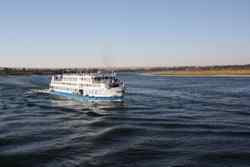 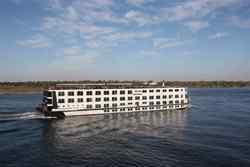 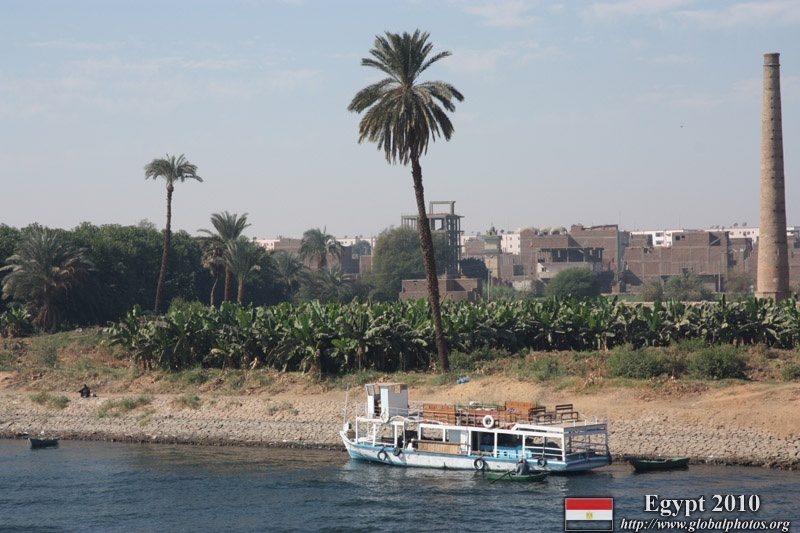 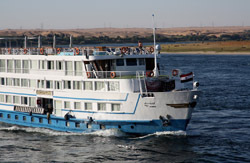 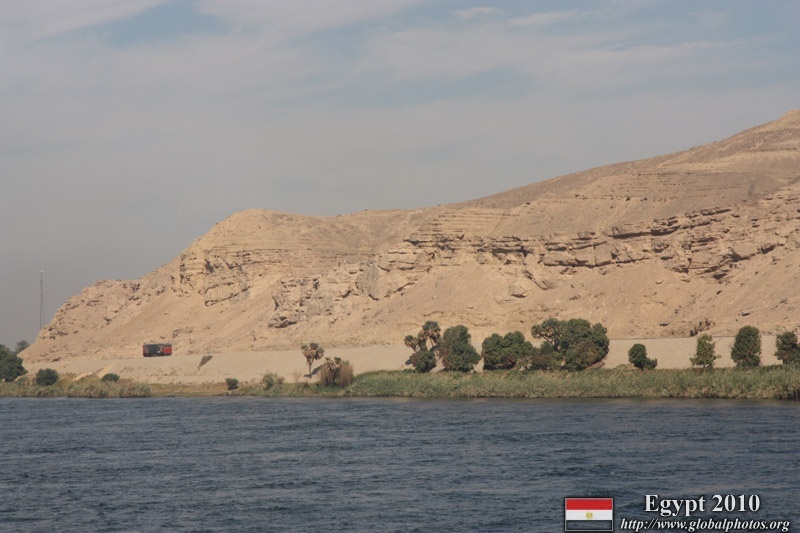 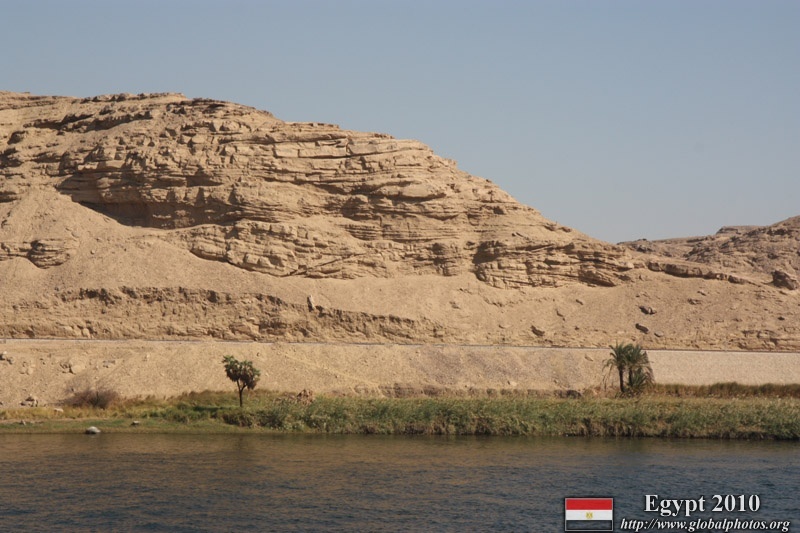 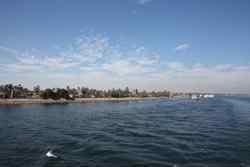 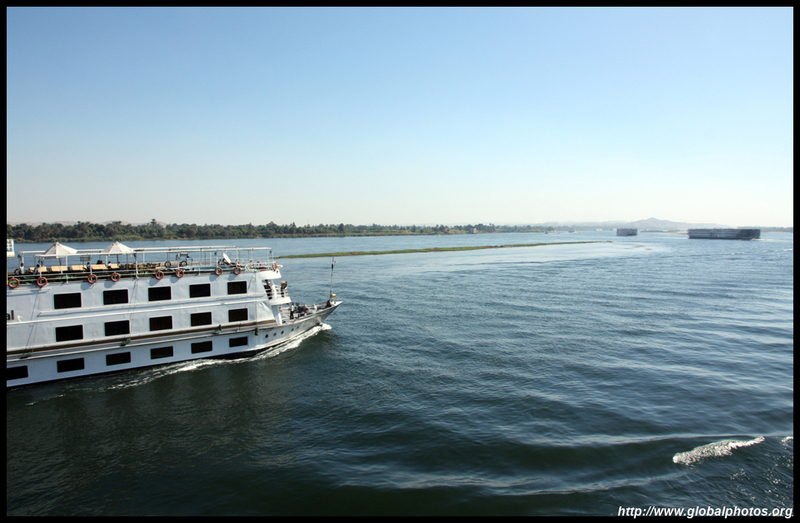 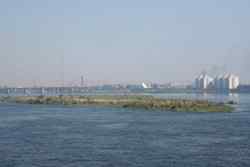 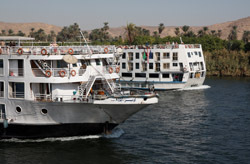 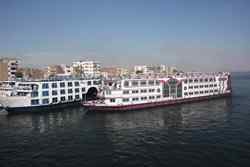 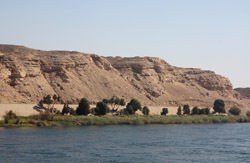 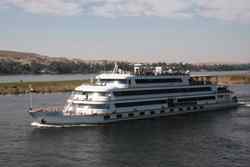 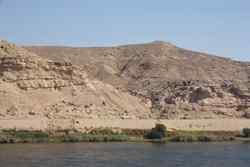 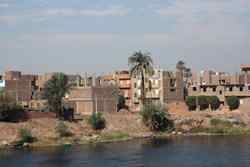 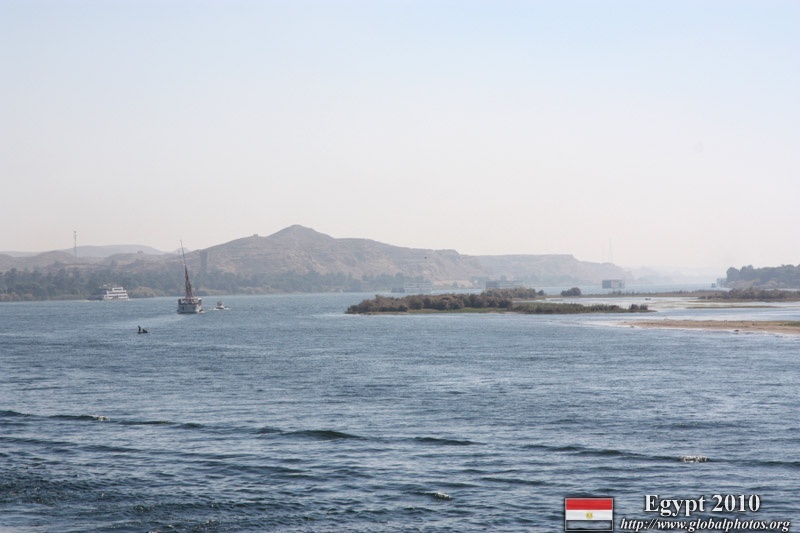 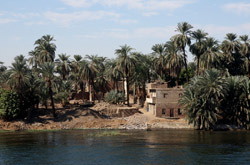 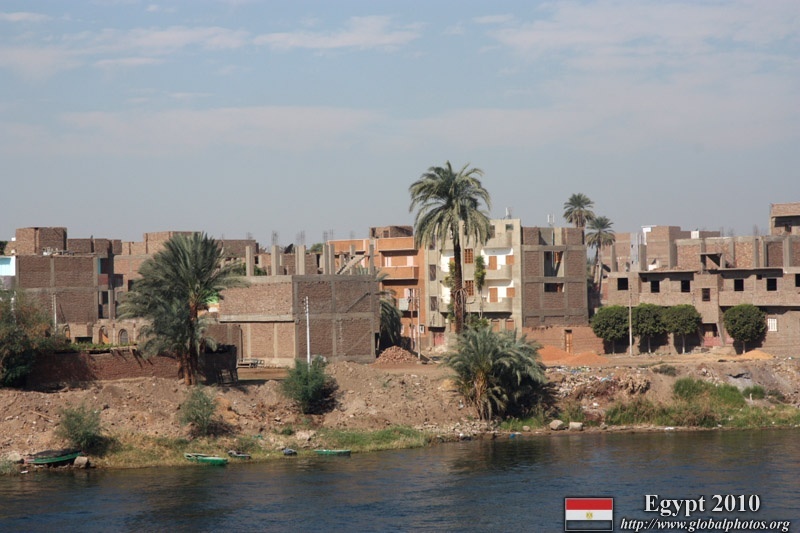 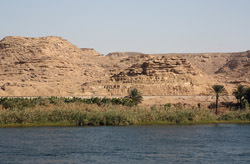 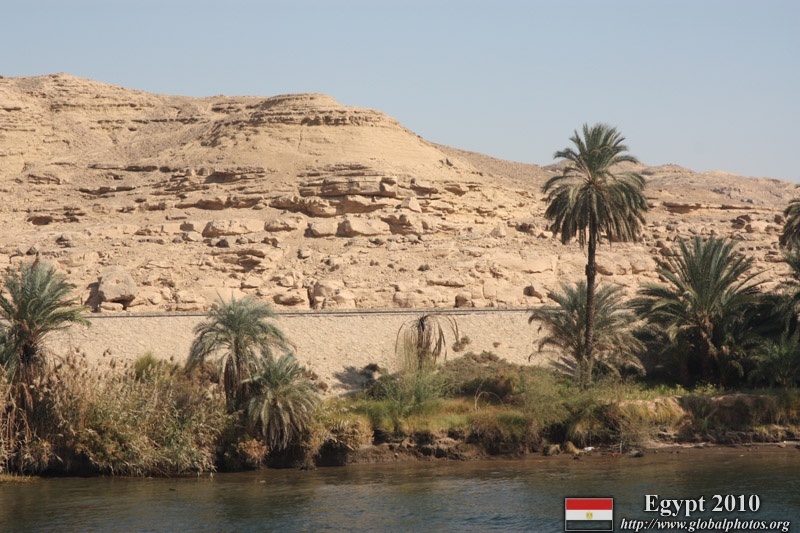 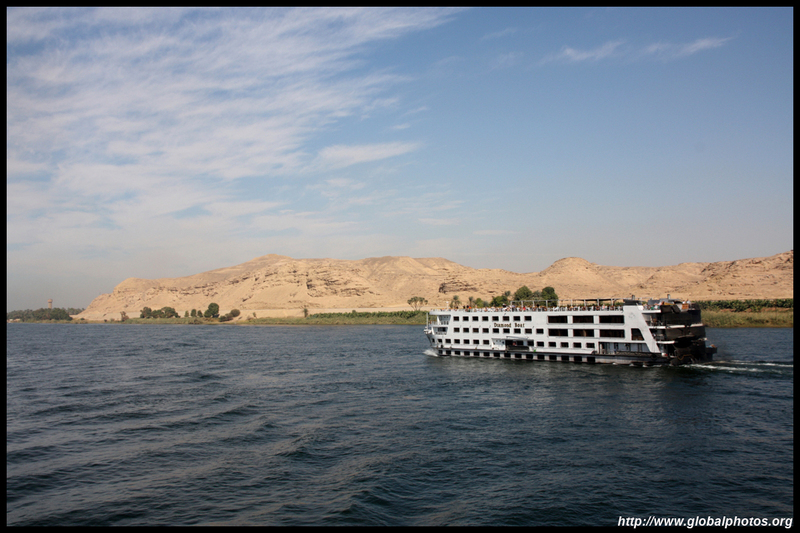 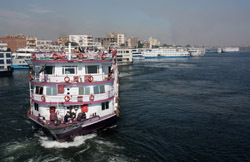 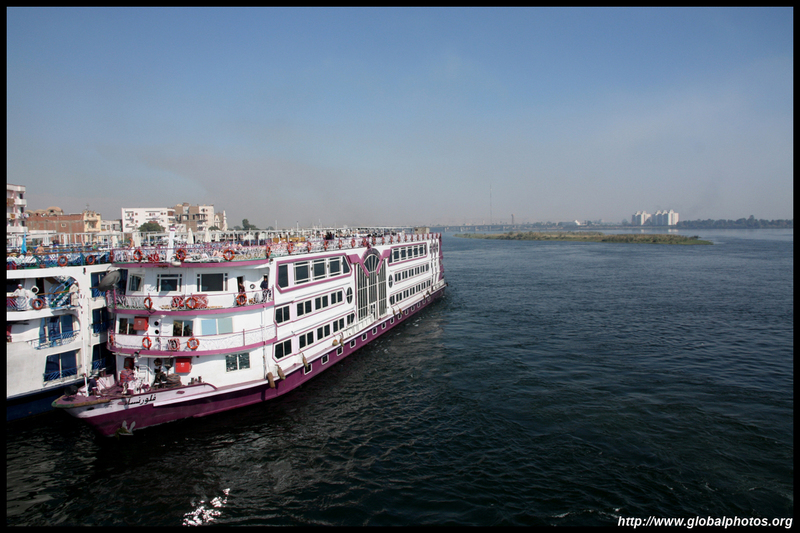 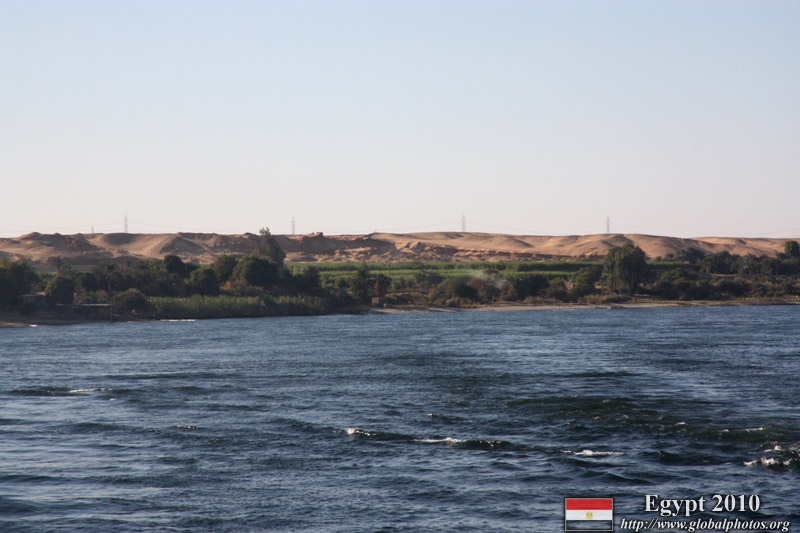 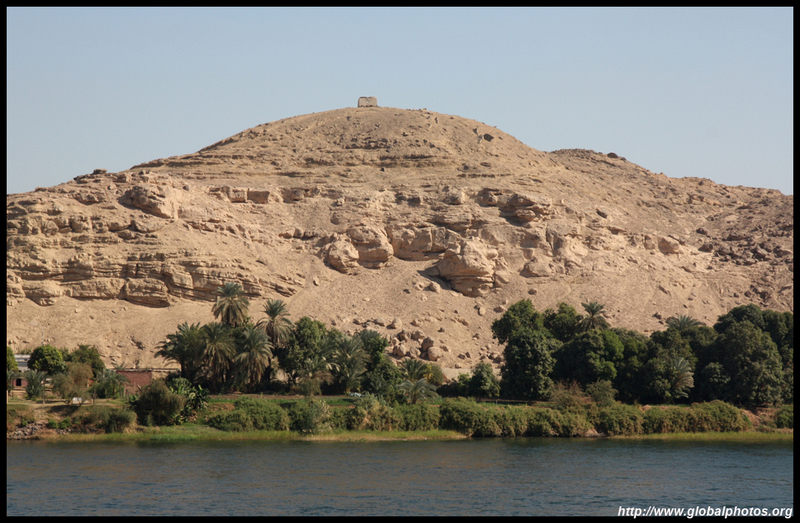 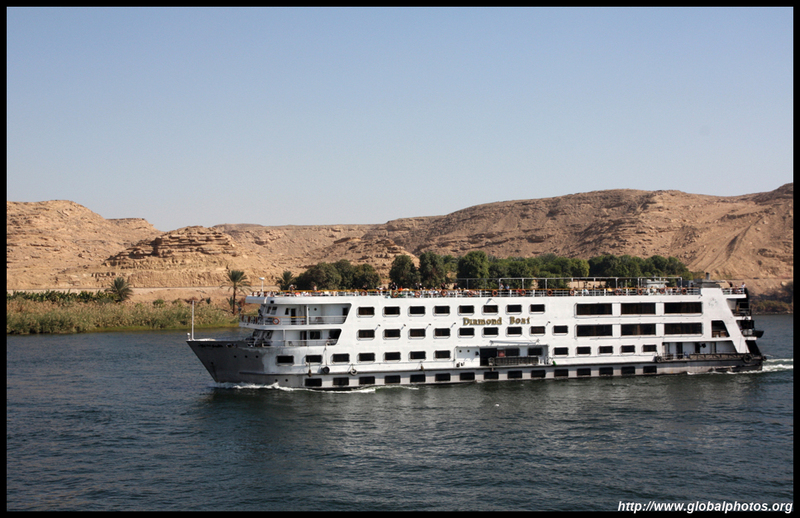 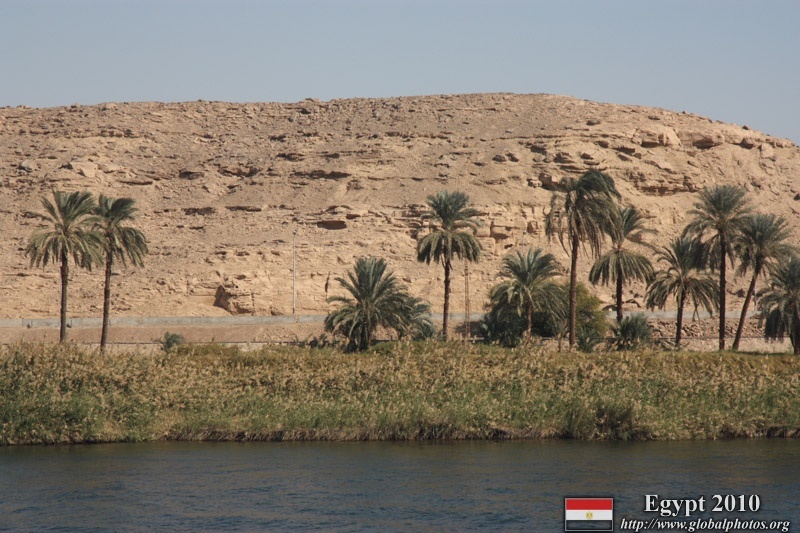 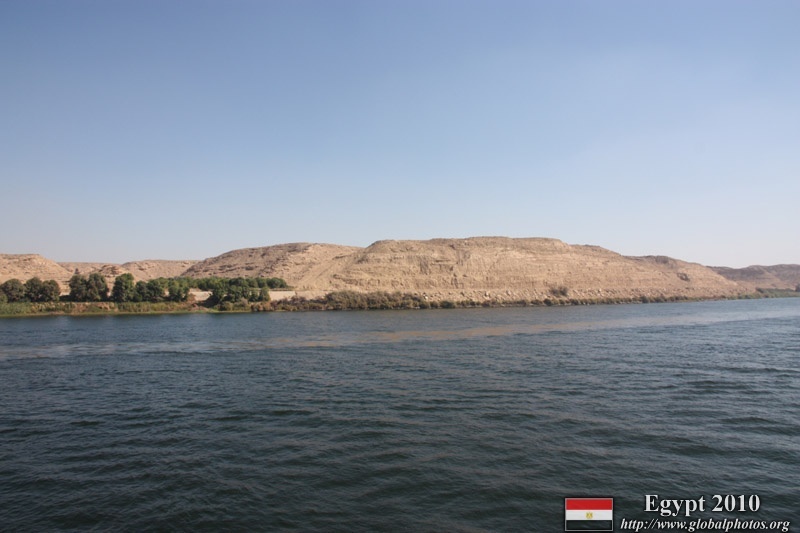 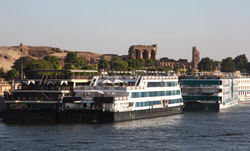 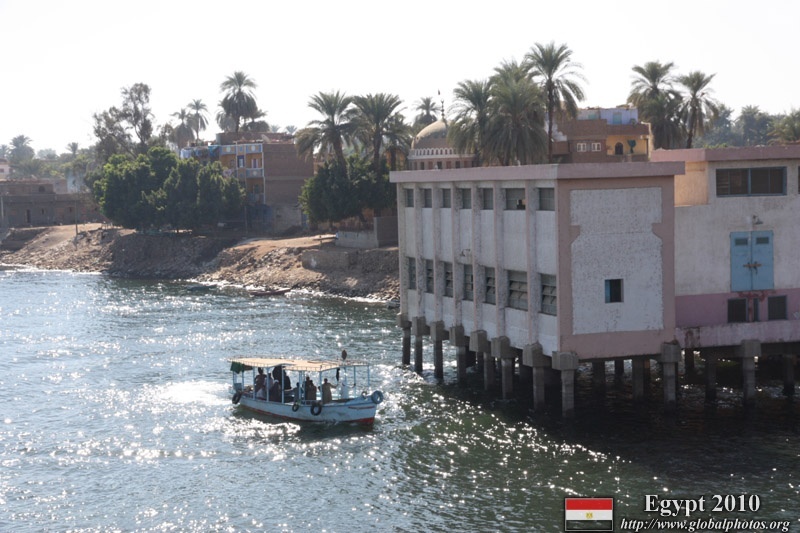 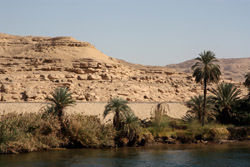 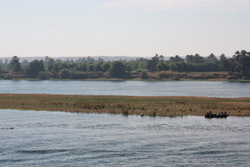 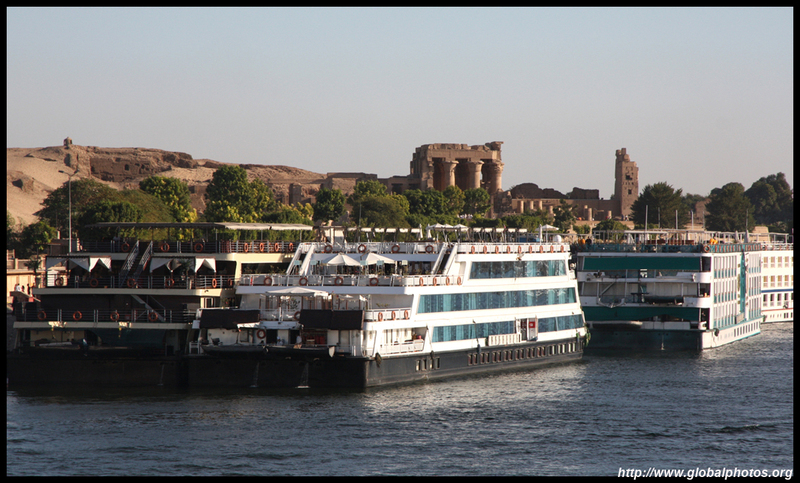 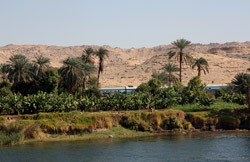 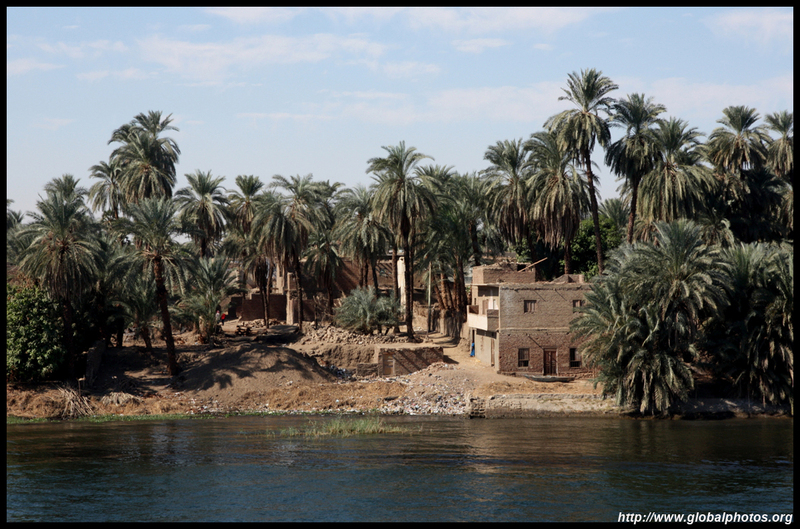 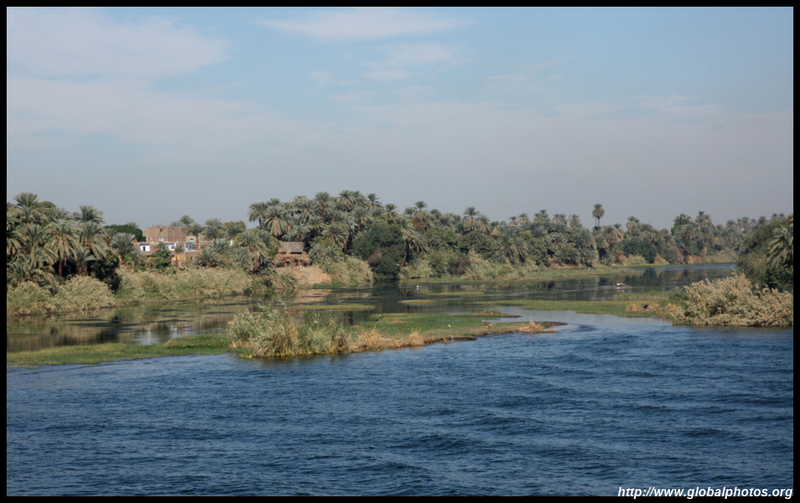 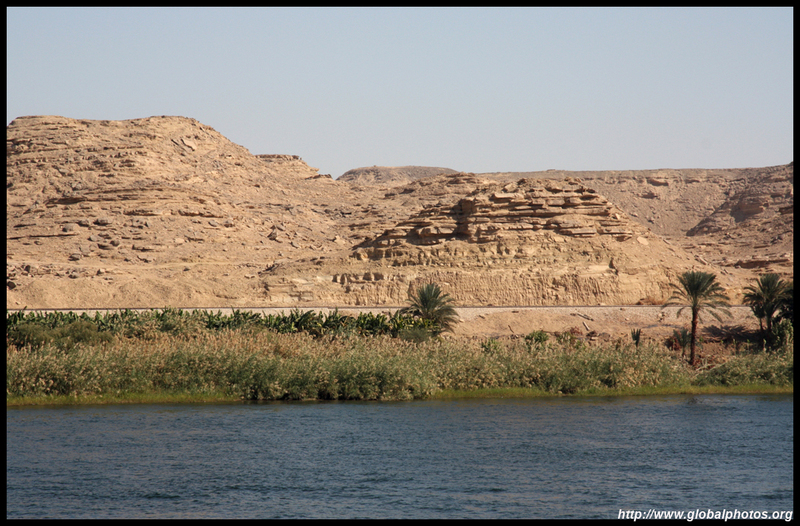 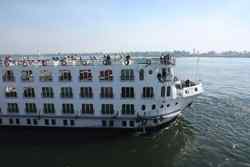 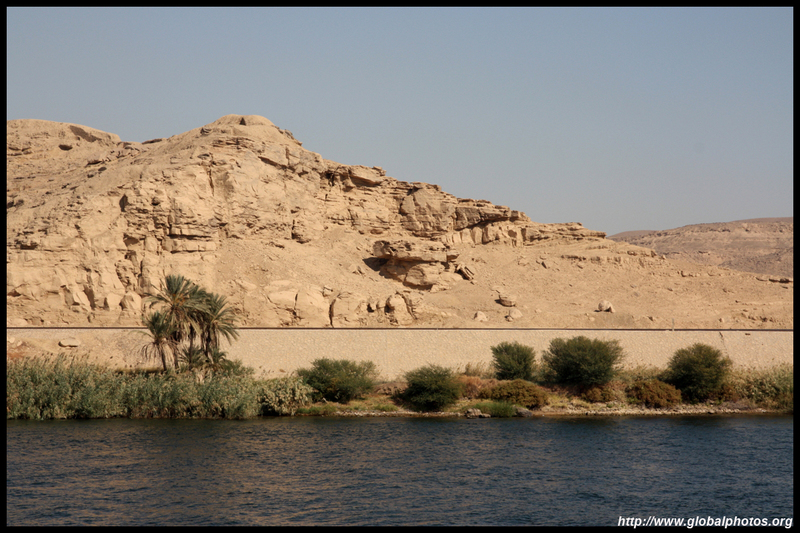 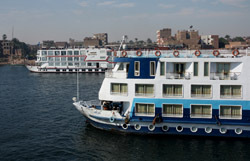 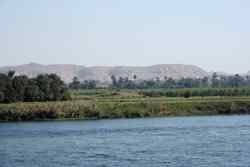 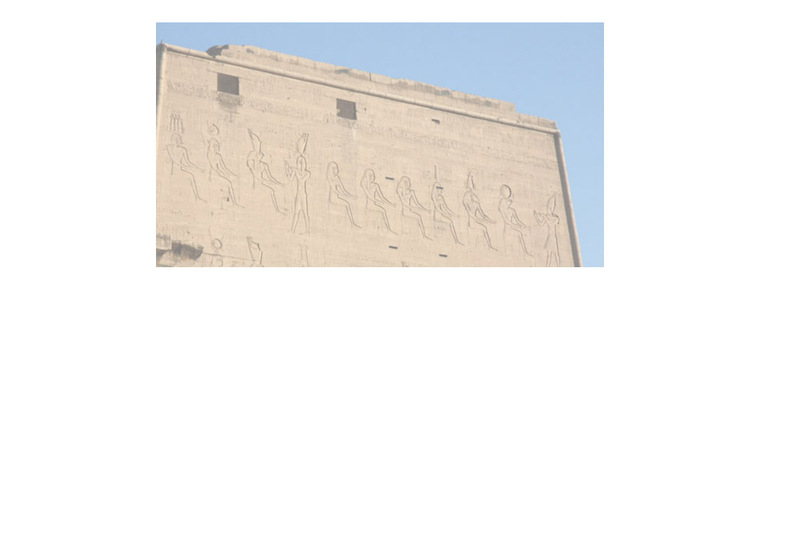 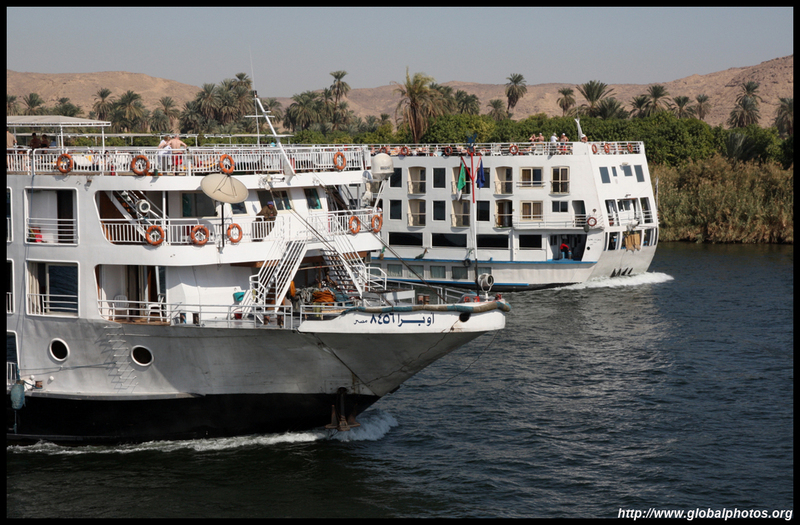 The temple at Kom Ombo was located conveniently by the shore and hence was easily visible from the boat.